Scott Tallon Walker Architects are pleased to announce that they have achieved certification for the design and construction of BIM Level 2 projects in line with PAS 1192-2 by the British Standards Institute. Here is an Insight into the delivery of University College London Hospital's (UCLH) cyclotron for their new Proton Beam Therapy facility in London and what it means for British citizens to have this facility available to NHS patients in the UK. Scott Tallon Walker have been appointed to masterplan and deliver the full regeneration of the Kane Science Building at UCC. 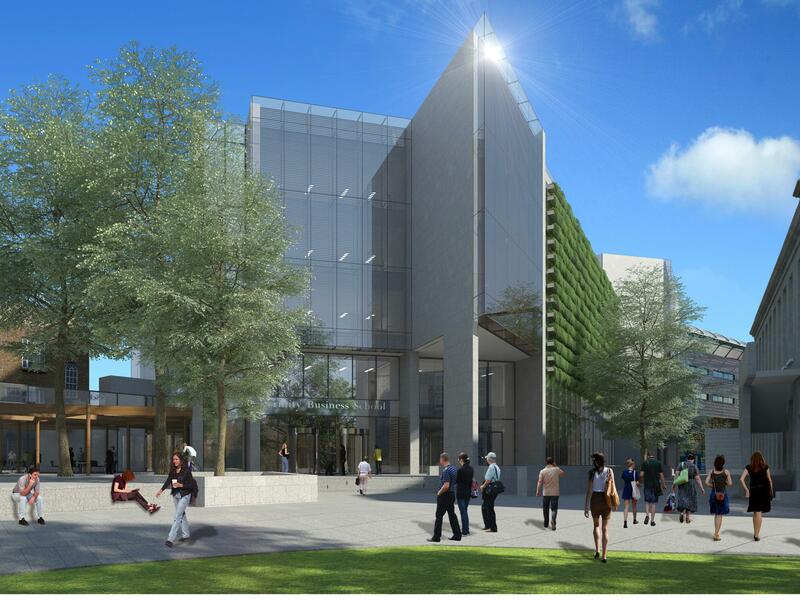 Originally completed in 1970, the building has housed the departments of Physics and Chemistry for almost 50 years and will need to remain operational throughout the project. 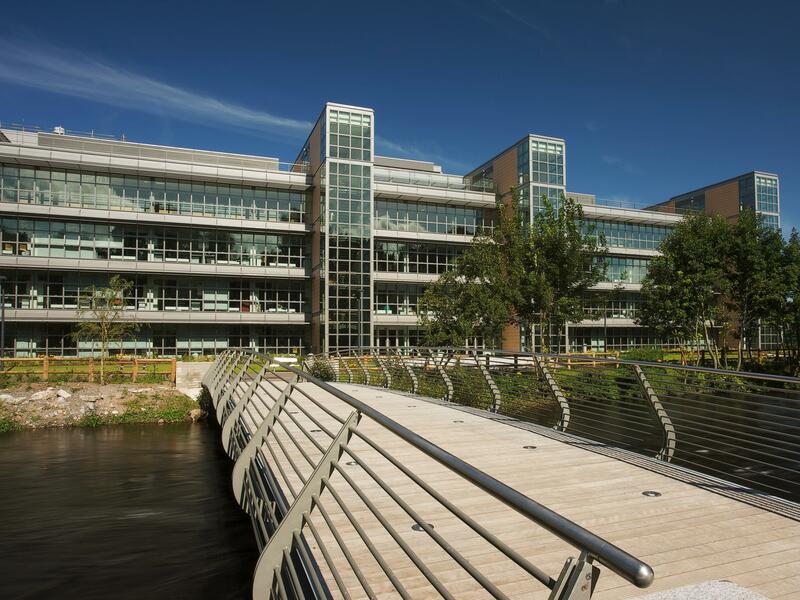 Minister for Health, Simon Harris TD officially opened the flagship new home for biomedical teaching and research at NUI Galway on Monday 2nd July. 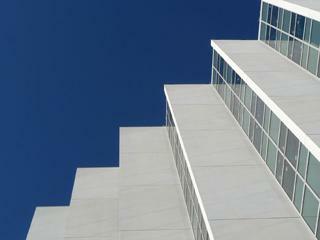 Our goal is to create a modern website that is easy to use on many types of devices. 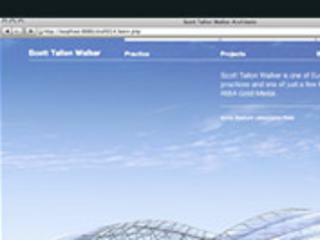 The site includes a responsive layout that adjusts to large screens, tablets and phones. 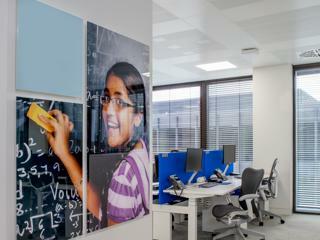 We have used full screen images where possible that show off our work to it's best. 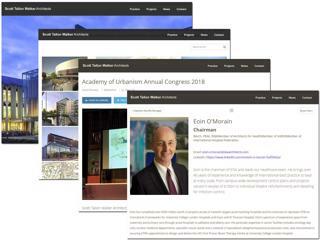 The navigation is kept simple and search features have been added to help you find content. 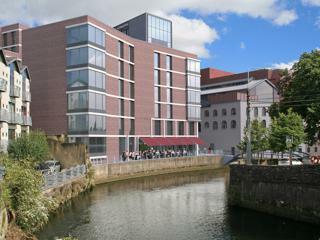 An Bord Pleanála has granted planning permission for this high profile mixed use development proposal in Cork city centre designed by Scott Tallon Walker Architects for developer BAM Property Ltd.
Congratulations to Katie Oliver in Scott Tallon Walker Architects who as part of the university team at the London School of Architecture - Metabolic City - were highly commended for our submission for the Architects for Health award in the DIP Arch category. 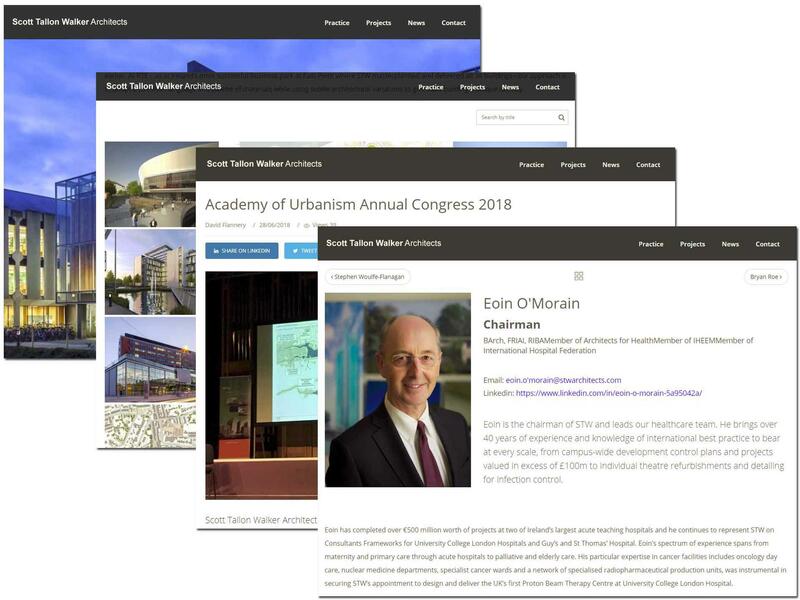 Scott Tallon Walker Architects are proud to be sponsors of the Academy of Urbanism (AoU) Annual Congress 2018 is taking place in Cork, Ireland from Wednesday 27th to 30th June 2018. David Flannery and Philip Jackson will be in attendance and will also be speaking at this years event. 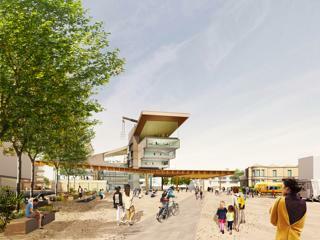 Diller Scofidio + Renfro’s with Scott Tallon Walker Architects, Sasaki Associates, GROSS. 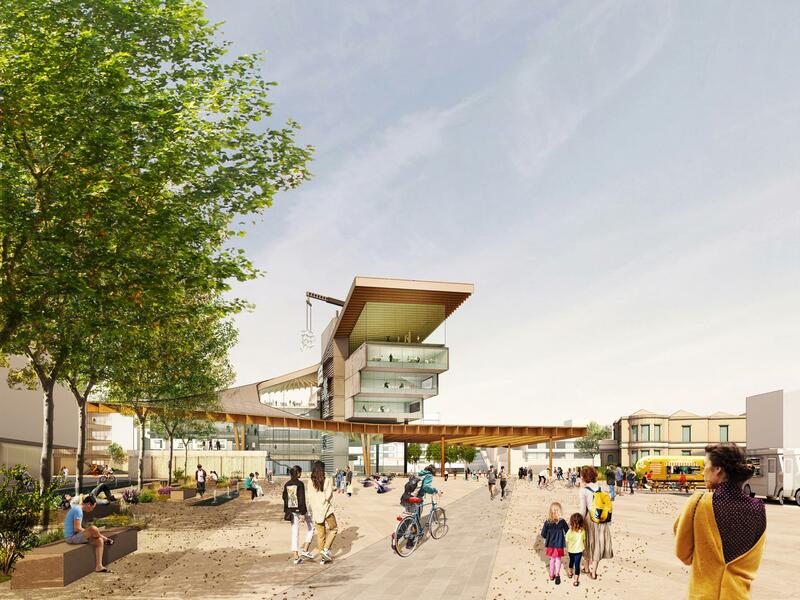 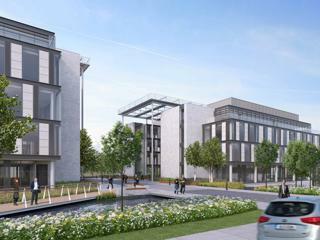 MAX., Arup, Atelier Ten, IN2 Engineering Design Partnership, Linesight, Michael Slattery Associates and i3PT have been shortlisted for the UCD Future Campus. 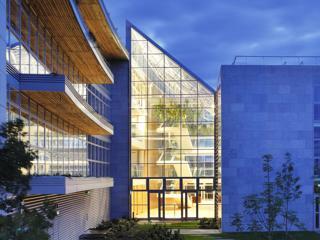 This international design competition focuses on enhancing and enlivening University College Dublin’s extensive campus. The competition seeks an outstanding integrated team for two much-needed design initiatives. 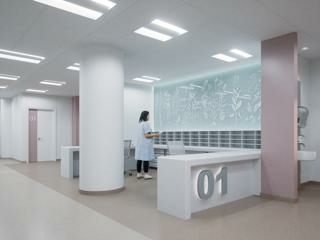 Sheila Carney and Kevin Bates from Scott Tallon Walker Architects are attending the first UK-China Oncology Congress, taking place over two days in the heart of China’s capital city, which will bring together over 1,000 representatives from both countries, to work together to help tackle the global cancer challenge. A 90-tonne piece of cancer-fighting equipment that will improve the lives of hundreds of cancer patients every year has been carefully lowered into place in its new home. 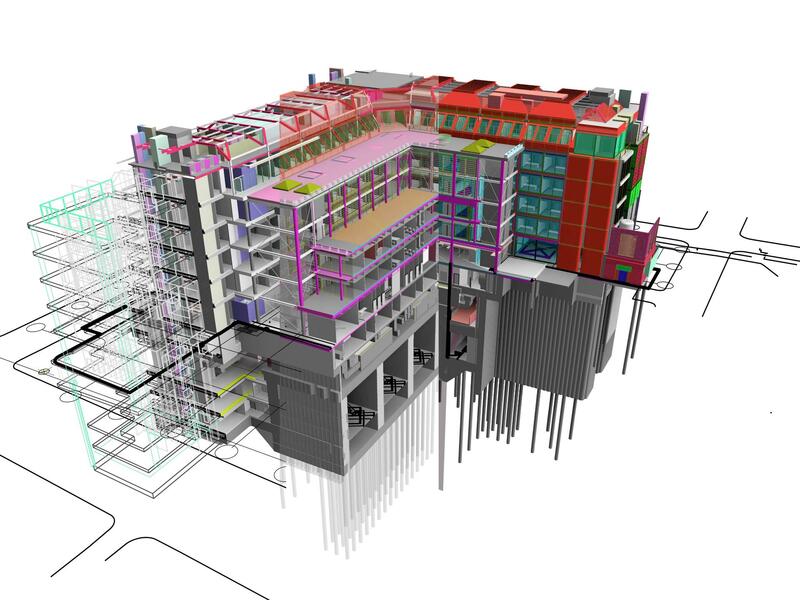 Technology is pervasive at Autodesk University London 2018. There are many ways to do things better or differently which are attempting to be disruptive to the the way we work. 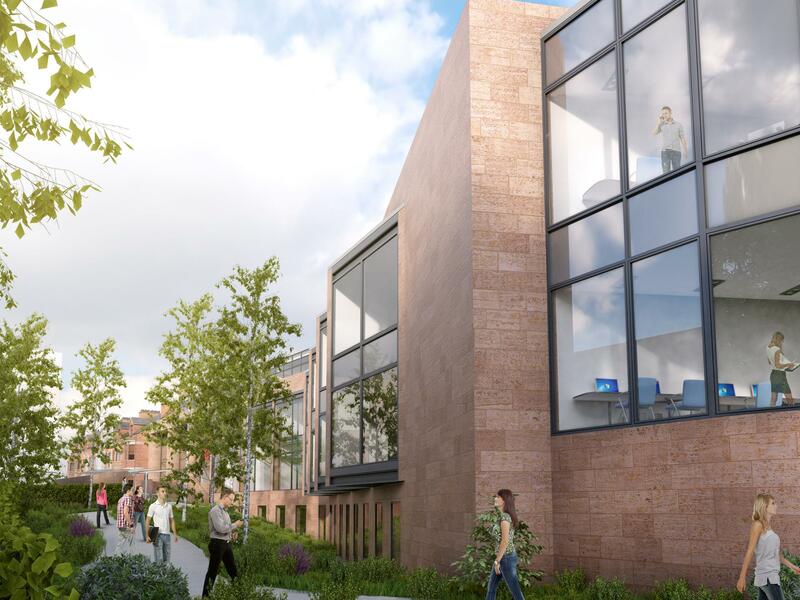 Scott Tallon Walker have been appointed following a design competition to begin work on a new Student Centre for Maynooth University and Maynooth Students’ Union (MSU). 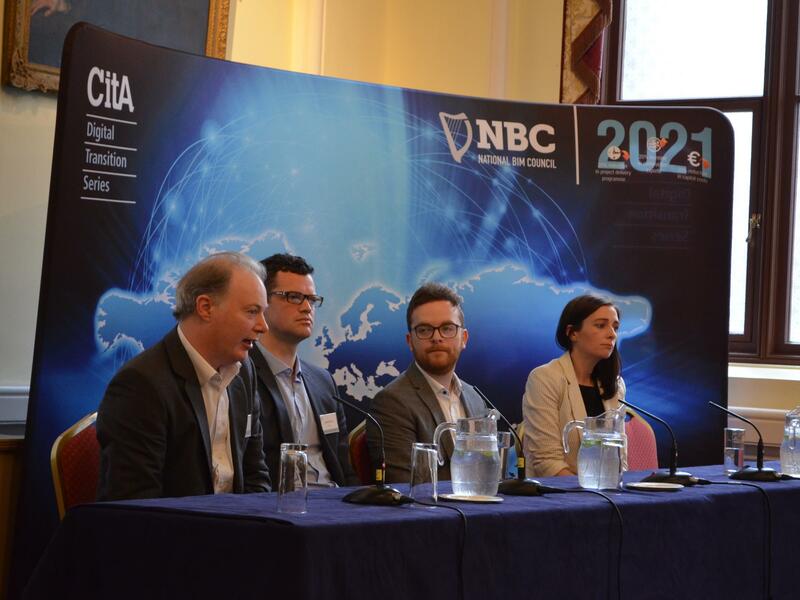 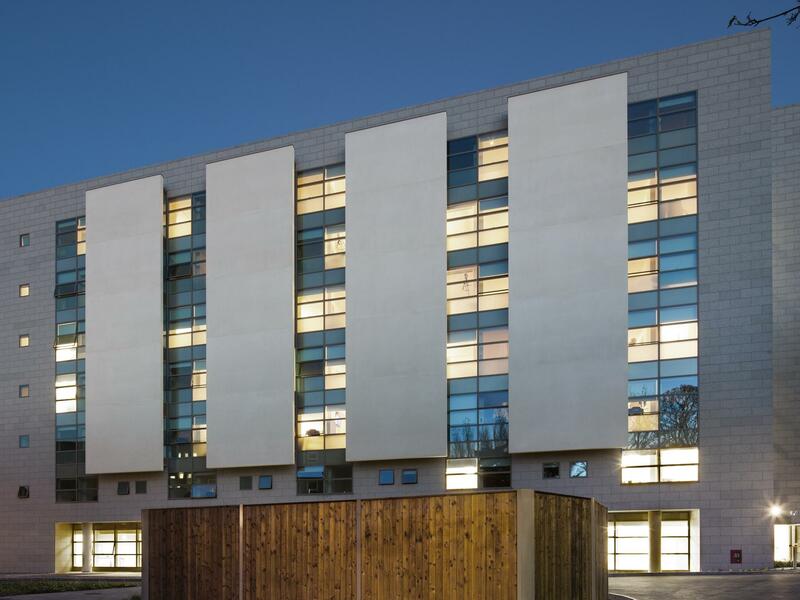 Michael Earley and Liam Farrelly of Scott Tallon Walker Architects presented a case study on the use of BIM on Trinity Business School at the CITA Digital Transition Series on Wednesday 11th April 2018. 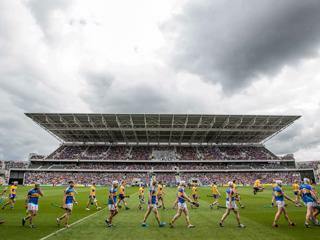 After 3 years of planning and 19 months in construction, the 45,000-capacity redeveloped stadium opened its doors on 19 July 2017, and hosted the All Ireland Hurling Quarter Final on 22 July 2017. 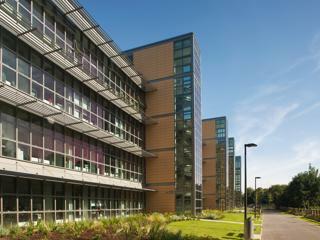 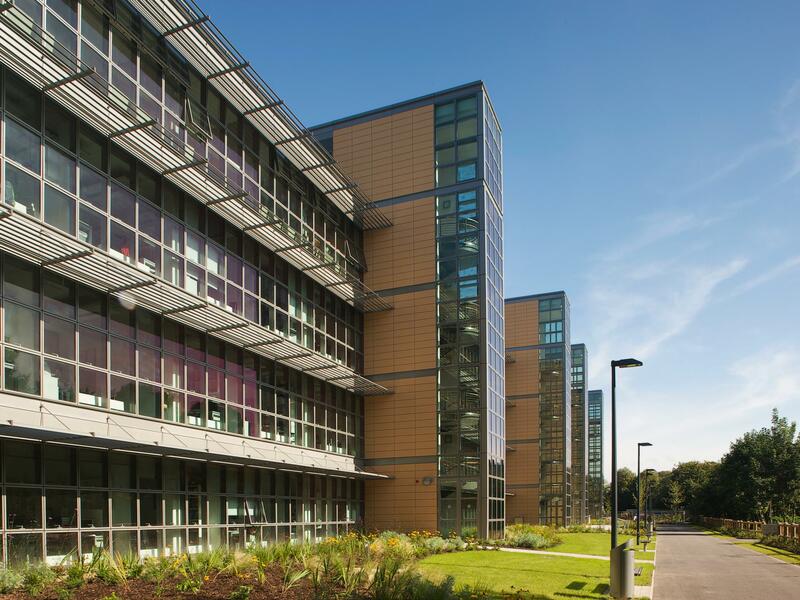 The Innovation for Health Laboratory Building completes the double for STW at the University of Surrey, Guildford campus. Scott Tallon Walker Architects first building, the 5G Innovation Centre, was only just completed when they won the commission to design the Innovation for Health project right next door. 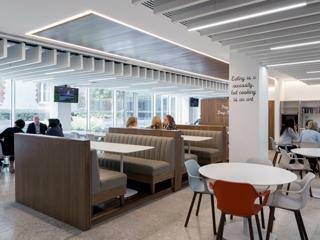 The new headquarters for Arthur Cox, one of Ireland’s leading law firms, provides state of the art office meeting and social spaces for over 600 staff in an elegant, sophisticated and relaxed interior designed to reflect and enhance Arthur Cox’s corporate image, culture and values. 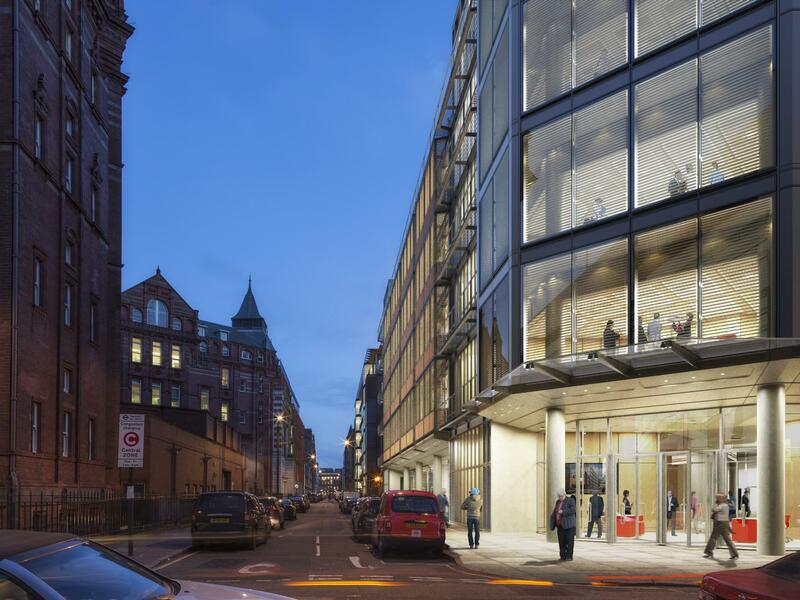 4-5 Harcourt Road is a proposal to deliver Grade A, sustainable commercial offices with a strong identity and presence on Harcourt Road that will enhance the public realm. 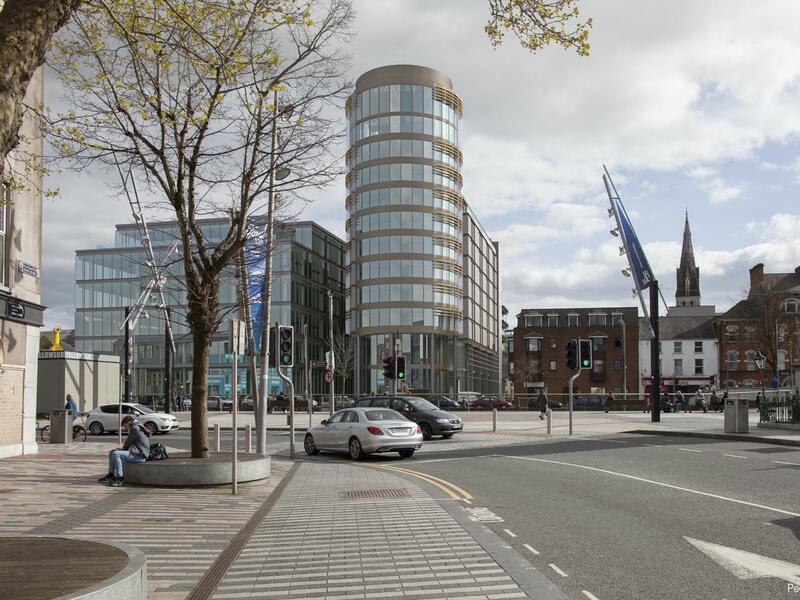 The proposal involves the demolition of the existing building and the construction of a new 7 storey office building which reinforces the established building line on Harcourt Road, while creating a strong identity that will form a landmark on the street. 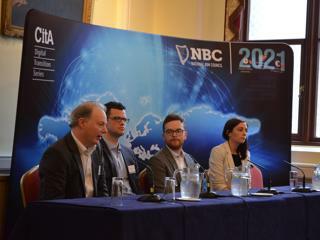 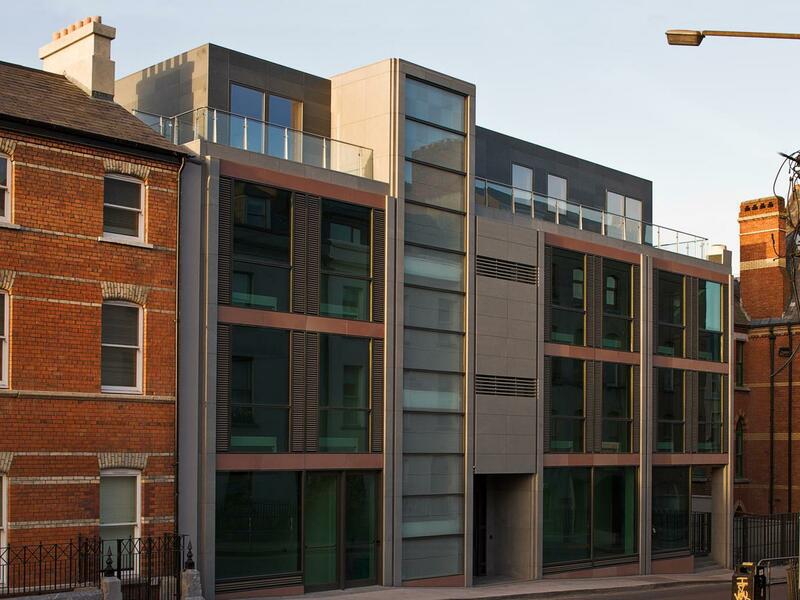 The complex of three office buildings on Baggot Street are a Dublin Landmark recognised, as much for their transition from Georgian Dublin to higher development, as for their international flair. 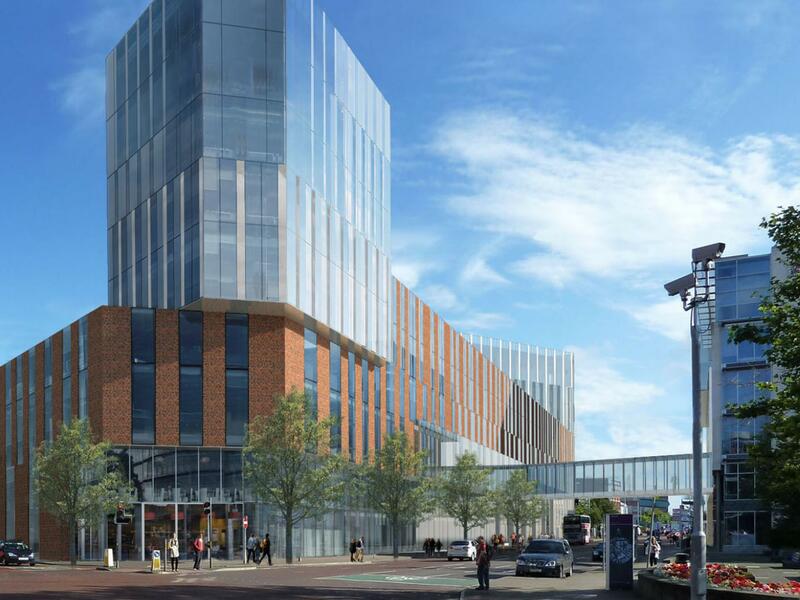 Full planning permission was obtained from South Dublin County Council in early 2016 and the Tender Process is in the evaluation stage with a contract award expected shortly. Brewery Quarter Student Accommodation has recently received a notification of decision to grant permission and is expected to commence construction in mid 2017. 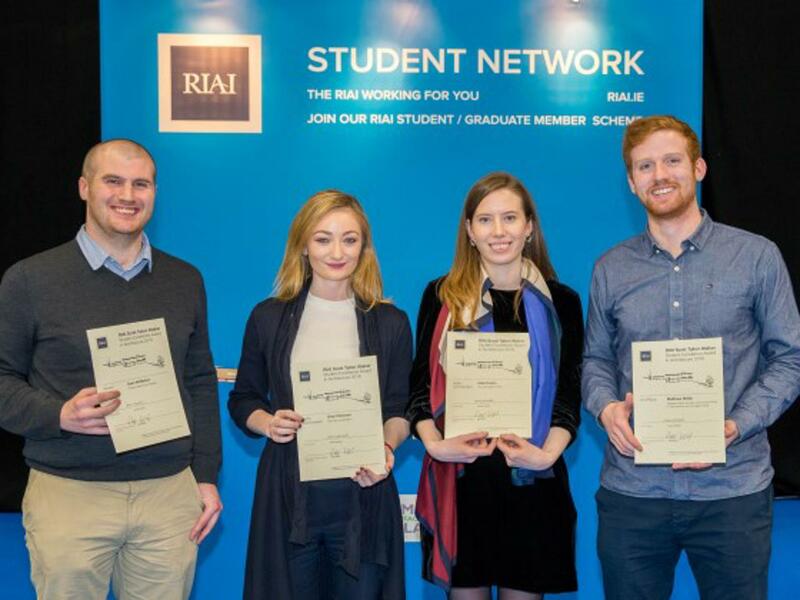 Scott Tallon Walker Architects are delighted to be associated with the RIAI in the launch of the “RIAI Scott Tallon Walker Student Excellence Award” (the former RIAI Travelling Scholarship student award) in memory of Scott Tallon Walker Architects’ three founding partners, Dr. Michael Scott, Dr. Ronald Tallon and Robin Walker. Scott Tallon Walker Architects are delighted to announce our position at No 7 in the Top Ten Medical & Health Architects in the UK. The latest league table is represented in the latest Edition of the Economic & Construction Market Review which indicates a long term increase in the value of contracts awarded in the Health Sector. 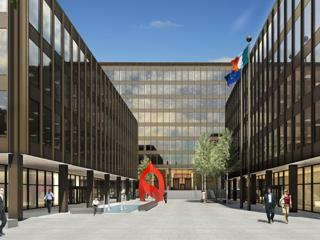 Education Minister Richard Bruton recently officiated at the sod turning of the new Scott Tallon Walker Architects designed Trinity Business School on Pearse Street. 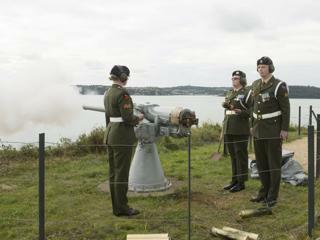 Scott Tallon Walker Architects are delighted that on September 20th 2016 Fortress Spike Island celebrated its official opening by the Mayor of Cork Cllr. 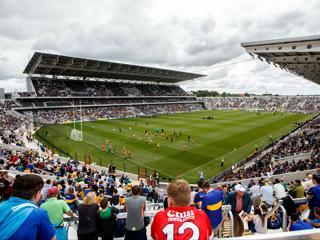 Seamus McGrath, following the completion of extensive renovation works. 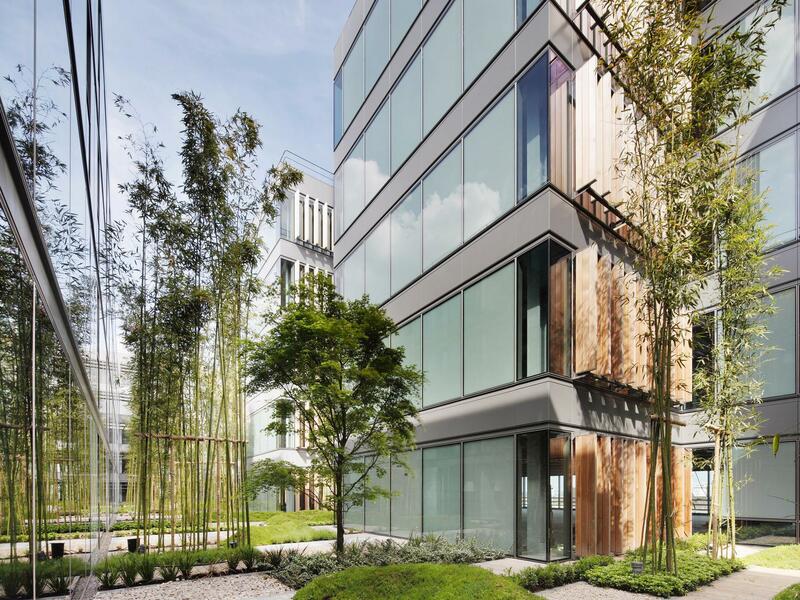 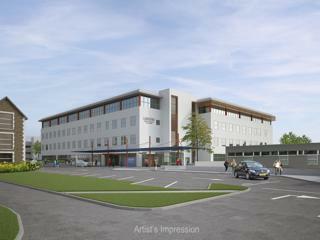 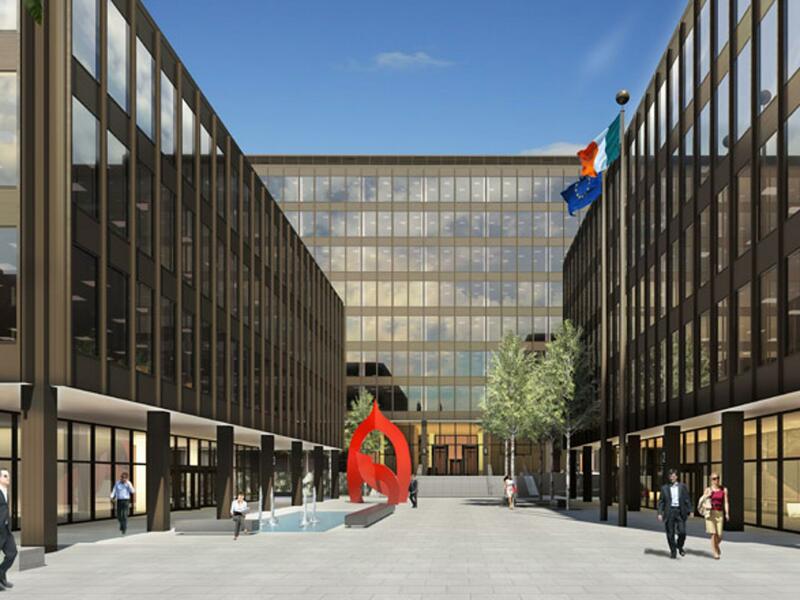 Full planning permission has been granted for 3 office buildings in Sandyford, South Dublin. The 24,000 sq.m development received approval in the minimum 8 weeks with no further information requests or third party submissions. Queen’s University Belfast unveiled the foundation stone for its new £39 million School of Biological Sciences Building on Thursday the 9th June 2016. 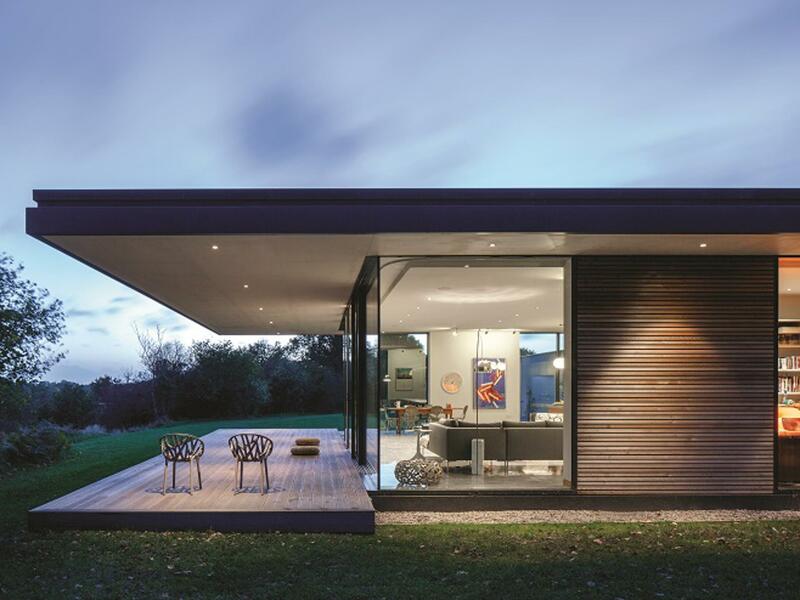 Scott Tallon Walker Architects are delighted that Keeper's House and Lodge has been shortlisted in this year’s World Architecture Festival Awards. 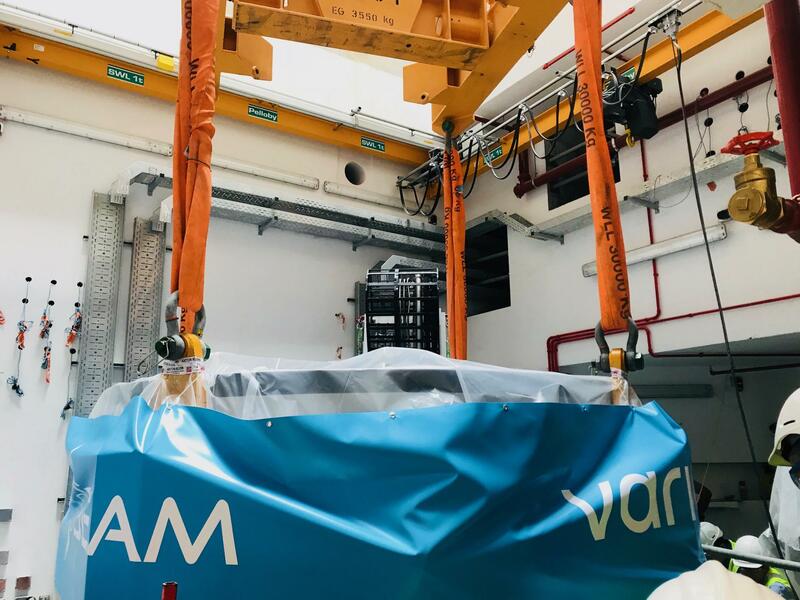 Scott Tallon Walker and the project delivery team will be attending the 55th Particle Therapy Co-operative Group Conference and Exhibition in Prague from May 22nd to May 28th. 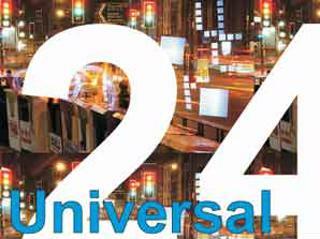 We will be located at stand number 22-24. 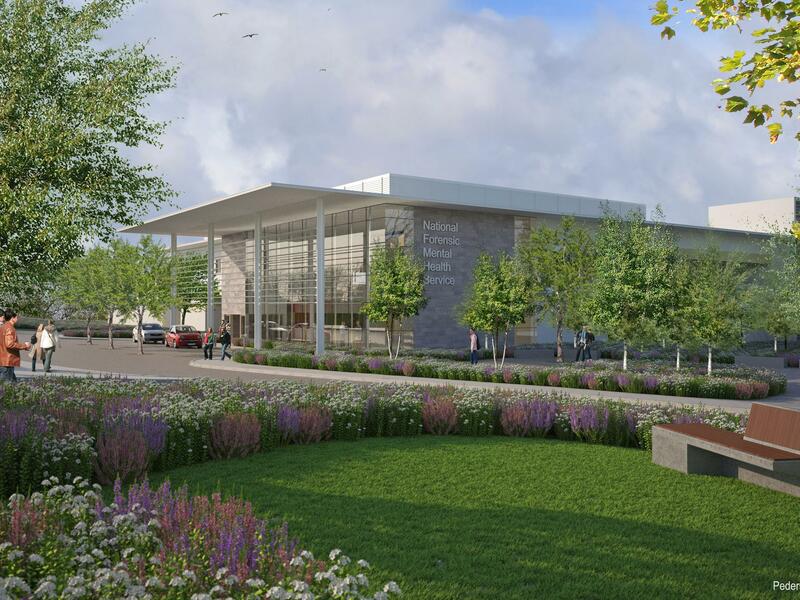 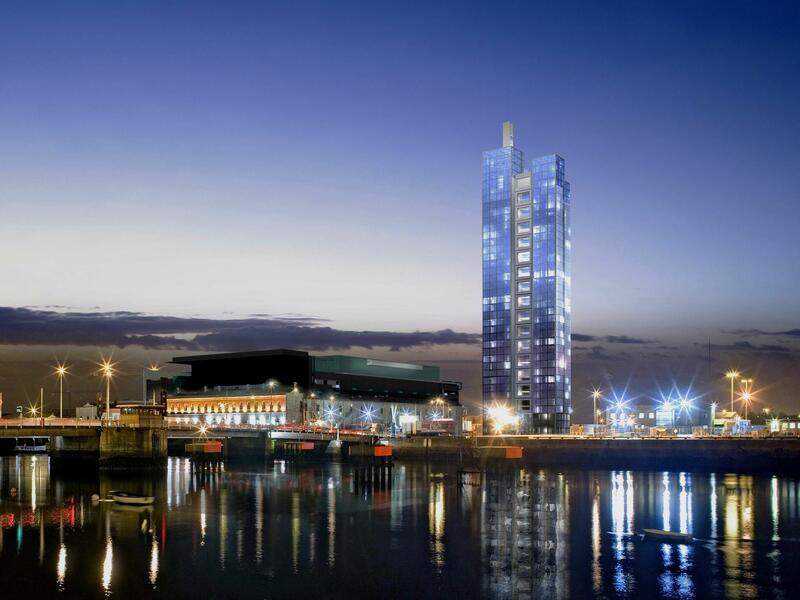 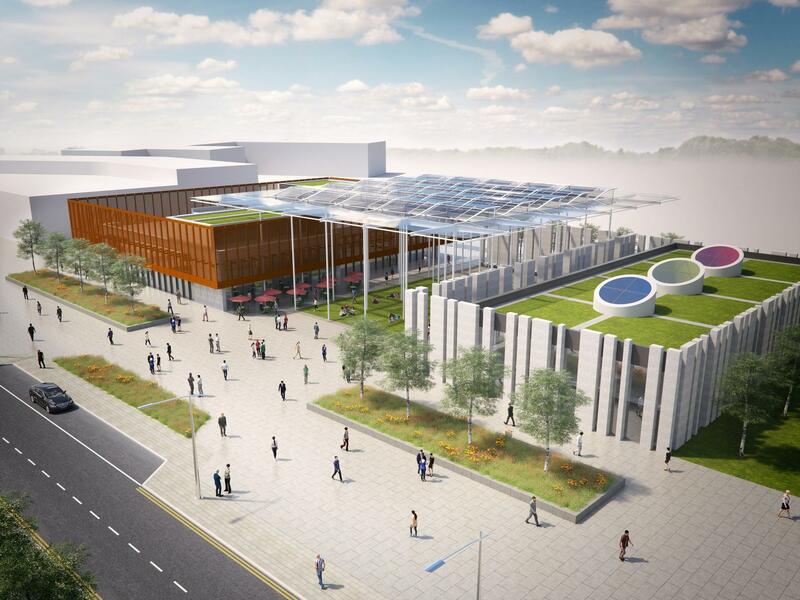 Scott Tallon Walker Architects were appointed as Design & Build architects as part of the Belfast based Lagan Group and Portuguese Somague-Engenharia Joint Venture Team for the design development and construction of the new 66,000 sq.m. 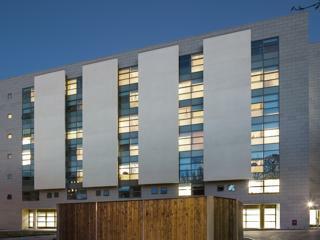 Ulster University campus. 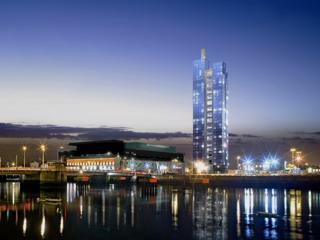 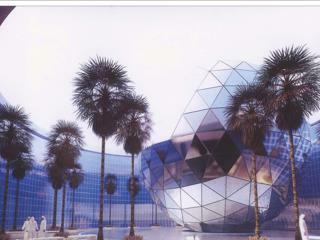 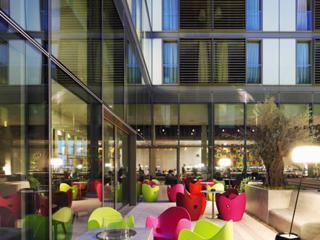 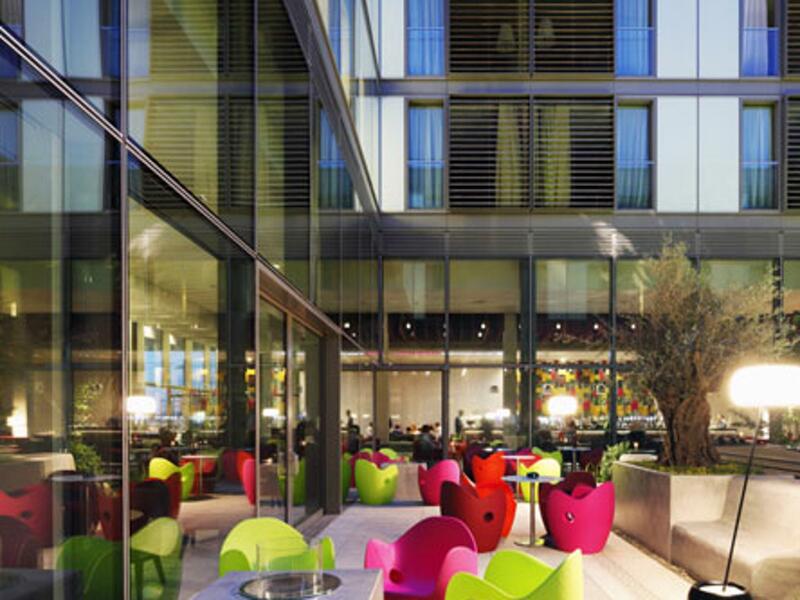 The building concept design was by Fielden Clegg Bradley Studios. 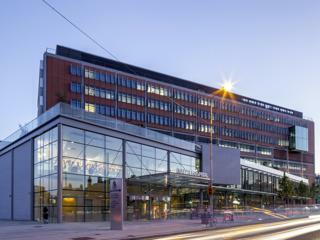 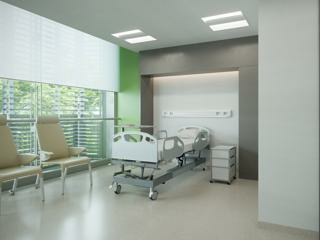 STW are pleased to announce the successful completion of a new purpose built research facility for UCLH. 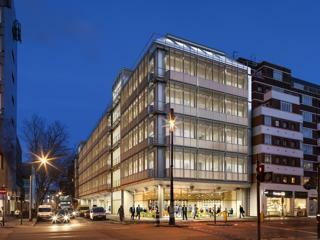 The NIHR UCLH Clinical Research Facility (CRF) is a facility dedicated to experimental medicine and clinical research. 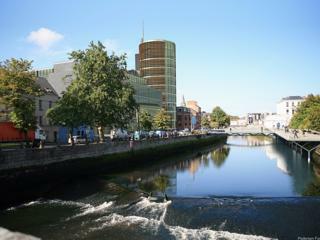 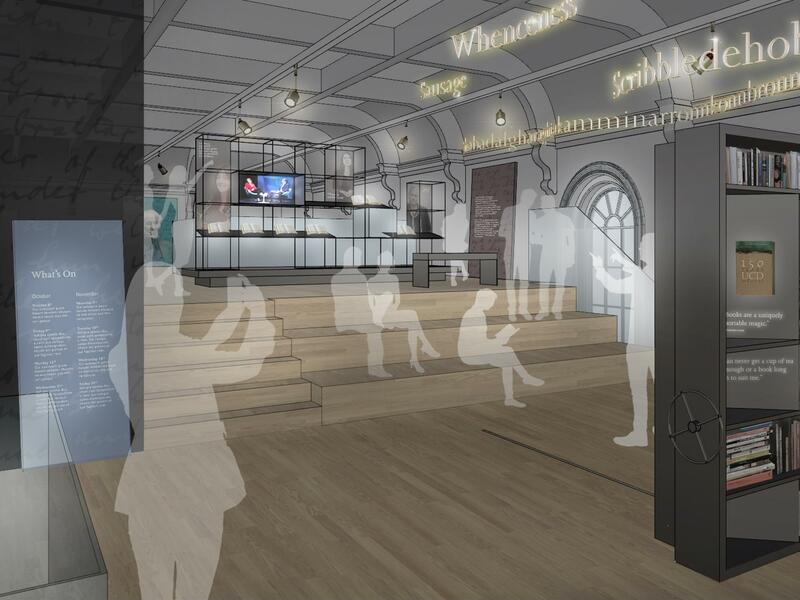 A planning application is due to be lodged for a new €10m international literary centre in the heart of Dublin. 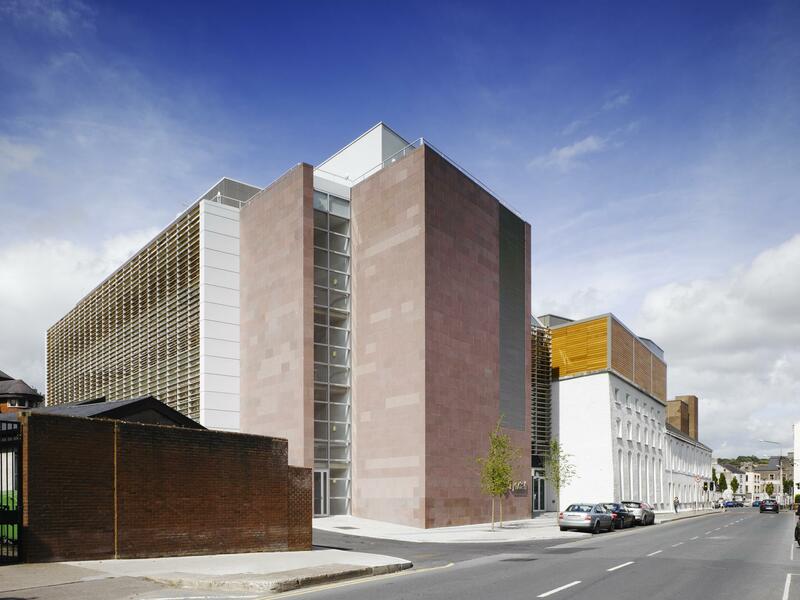 The Ulysses Centre, which is a partnership between UCD and the National Library of Ireland, is due to open at Newman House on St Stephen's Green in 2018. 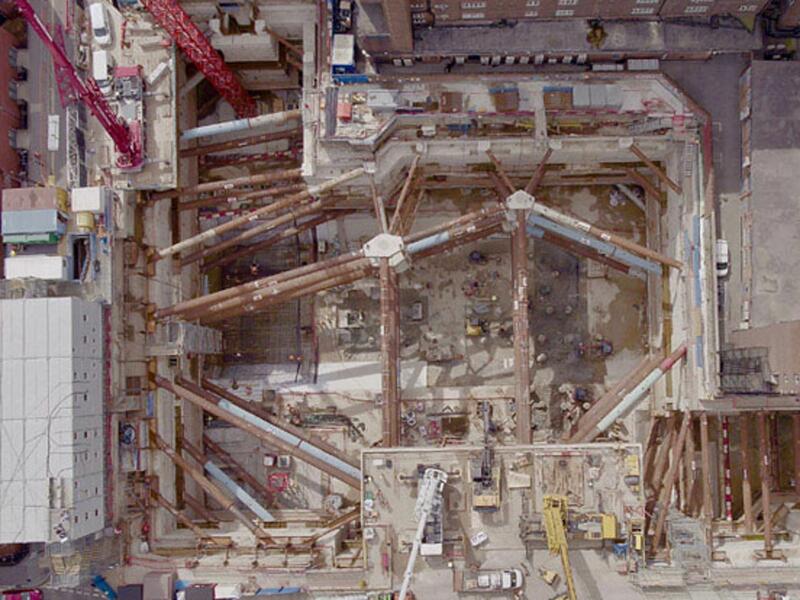 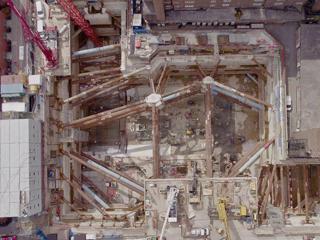 The First NHS Proton Beam Therapy (PBT) Facility in the UK has started on site at Tottenham Court Road in London. Scott Tallon Walker (in association with Edward Williams architects) have led the design of this flagship project for University College London Hospital, from its initial feasibility stage. 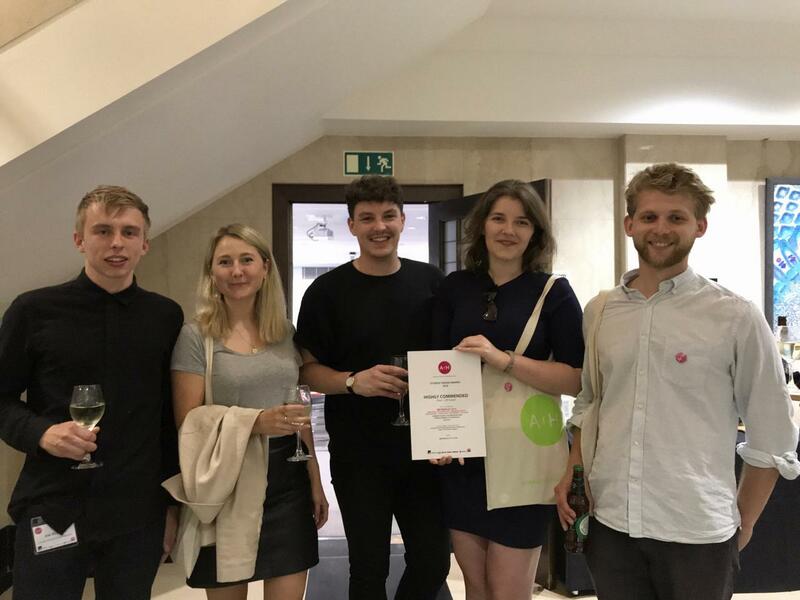 Scott Tallon Walker Architects are delighted to be finalists in the 2015 World Architecture Festival , opening in Singapore today. 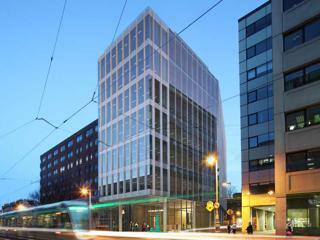 The RIAI announced the winners of the Irish Architecture Awards on 18th June at Dublin City Council, Wood Quay. 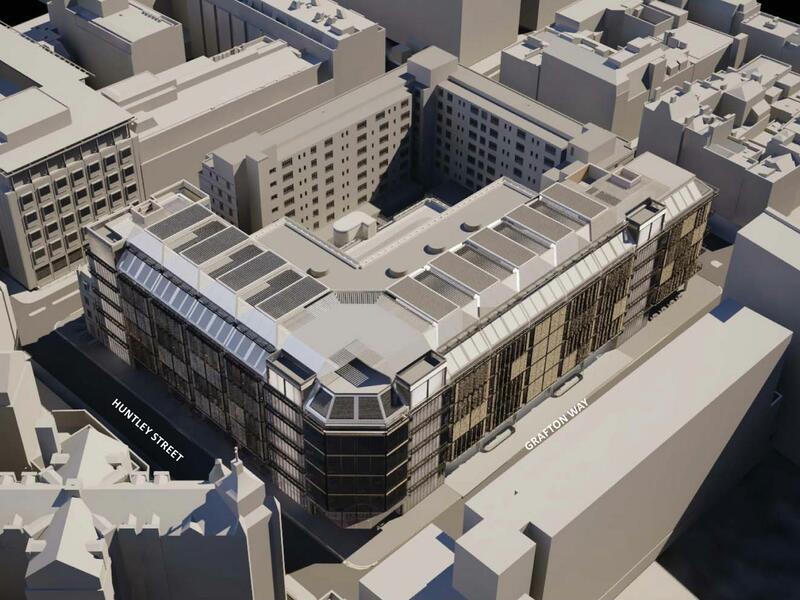 A new clinical facility to house a Proton Beam Therapy (PBT) Centre and inpatient services at University College London Hospitals (UCLH) NHS Foundation Trust, has been approved by the UK Department of Health. 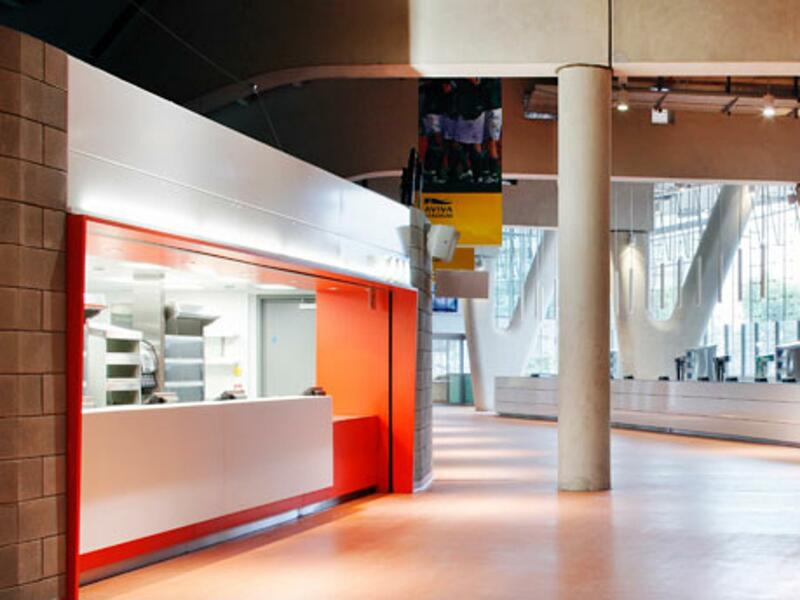 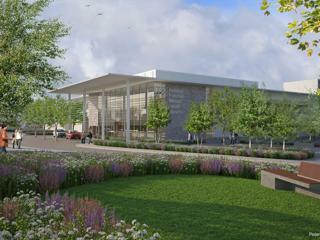 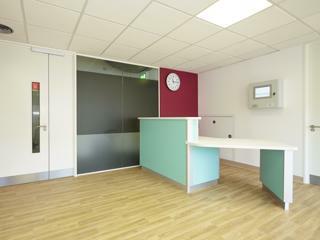 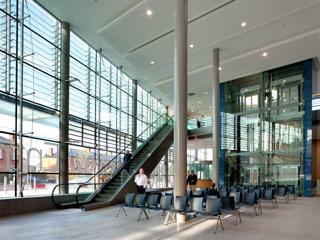 The facility has been designed by Scott Tallon Walker (in association with Edward Williams Architects). 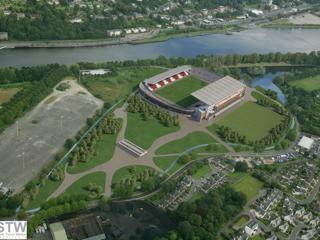 Páirc Uí Chaoimh, home of Cork GAA, has been granted full planning permission following a design process that included a rigorous public consultation process, a core strength of designers Scott Tallon Walker, the country’s leading stadium architects. 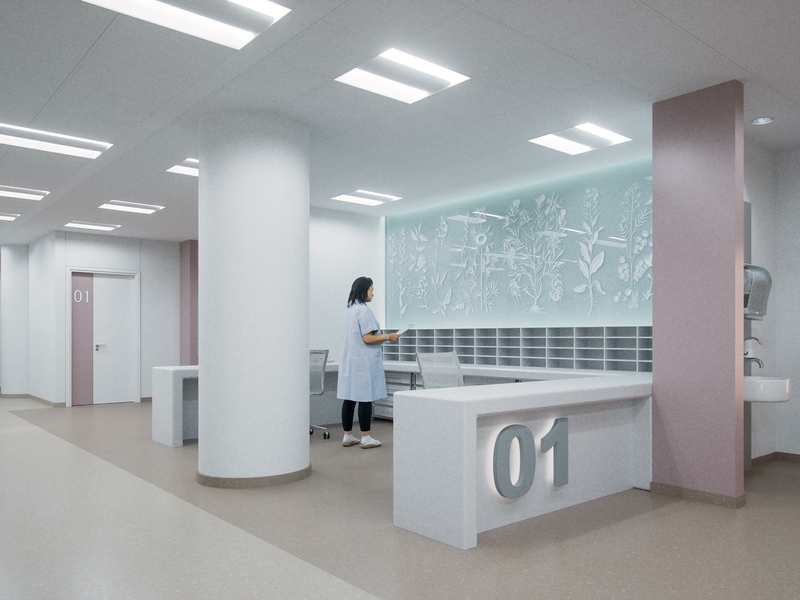 Scott Tallon Walker Architects' scheme for Cancer services at UCLH, including a Proton Beam Therapy centre, has been nominated for the ‘Best Design Concept Award’ at the Building Better Healthcare Awards to be presented at The Brewery in Central London on Wednesday 5th November 2014. 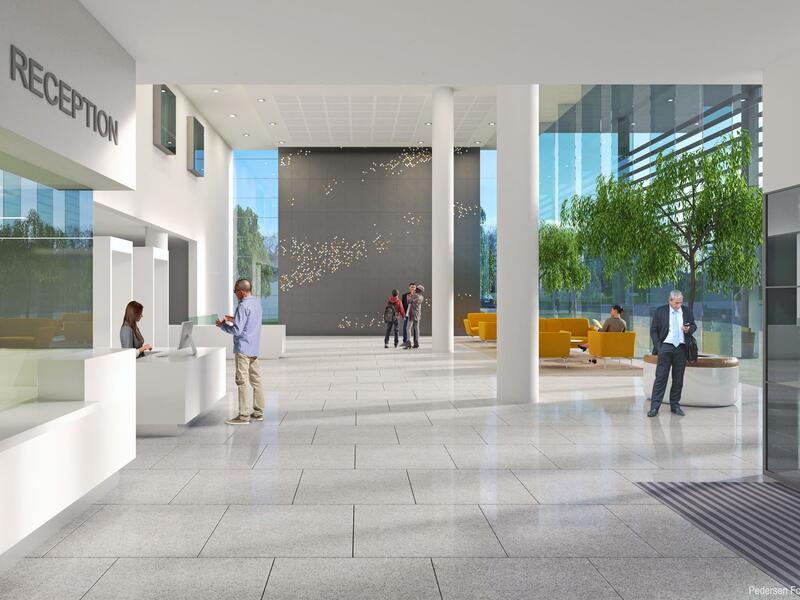 Scott Tallon Walker/ Edward Williams Architects scheme for UCLH - Proton Beam Therapy Centre and Cancer Surgical Services has been selected for exhibition at the Architecture Tomorrow stand at the inaugural MIPIM in Olympia. 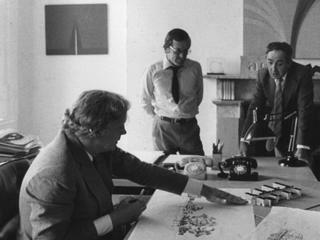 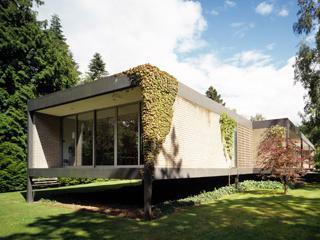 First published: Sat, Jul 5, 2014, 01:00 Ronnie Tallon, who has died at home, aged 87, was among the greatest and most prolific architects in Irish history. “No other architect had the same stature and range of work,” said fellow practitioner Shane de Blacam. 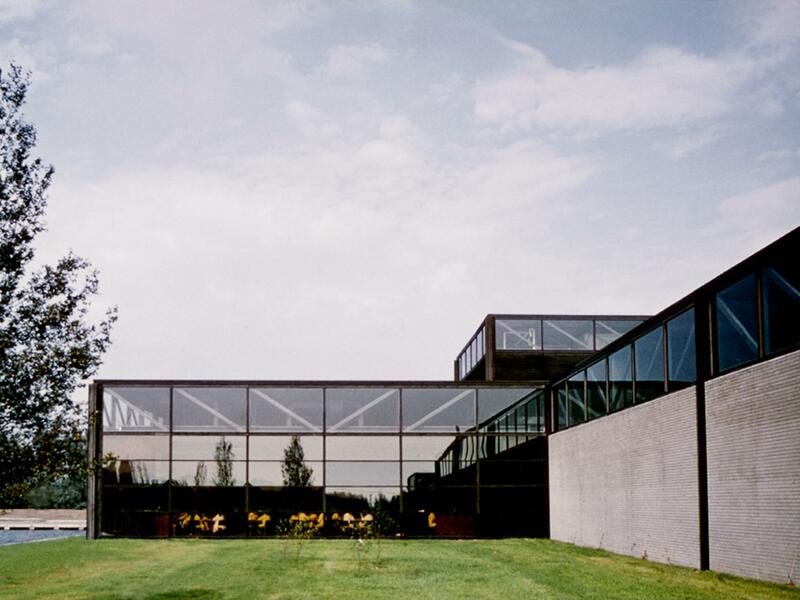 “It is the consistency, the quality and the scale of his work, as well as the strength and endurance of the practice he established that was so extraordinary. 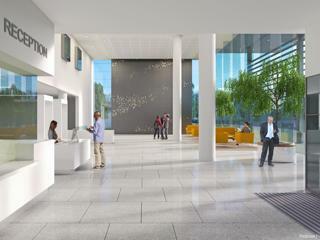 UCLH’s planning application for Phase 4 was approved by Camden Council planners on March 20. Pending approval by the Greater London Authority, it means building work can start in spring 2015. 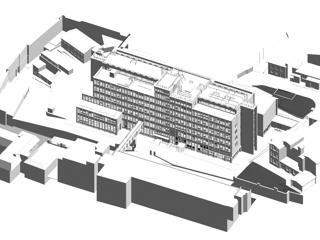 On behalf of University College London Hospitals, a full planning application has been submitted to Camden London Borough Council for the proposed Proton Beam Therapy Centre located at Grafton Way, London. 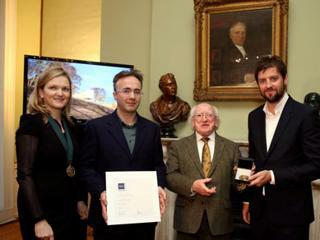 Associate Director Kevin Bates, who heads up the office of Scott Tallon Walker Architects in Riyadh, Saudi Arabia, has been awarded the highest Architectural Award from Royal Institute of the Architects of Ireland. 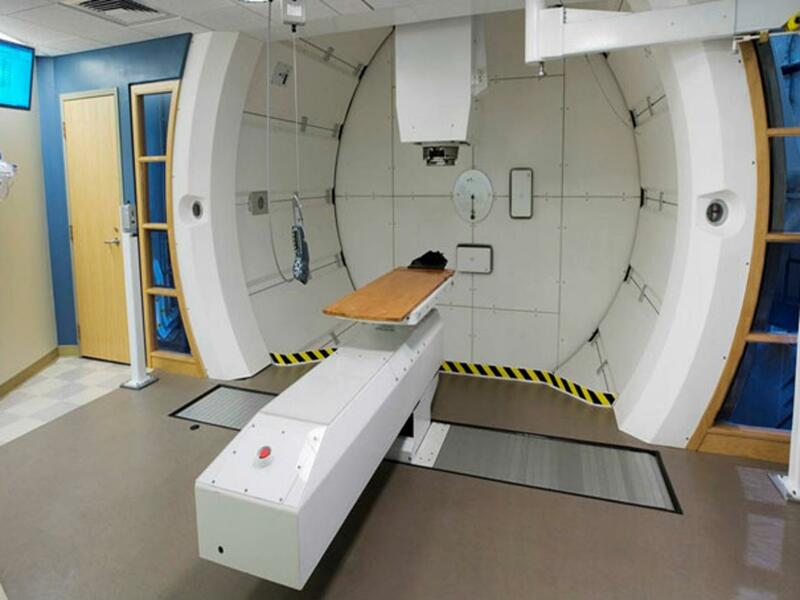 Plans for a new clinical facility in London – housing the world’s most advanced form of radiotherapy – are now open for public consultation. The UK Government commits £250 million for innovative cancer treatment to save lives and reduce side effects. Scott Tallon Walker Architects is pleased to confirm that its international arm, STWA Overseas Ltd., is now partnering with Usamah M Al-Kurdi Engineering Consultations, to provide a premium and professional architectural and engineering service within the Kingdom of Saudi Arabia. 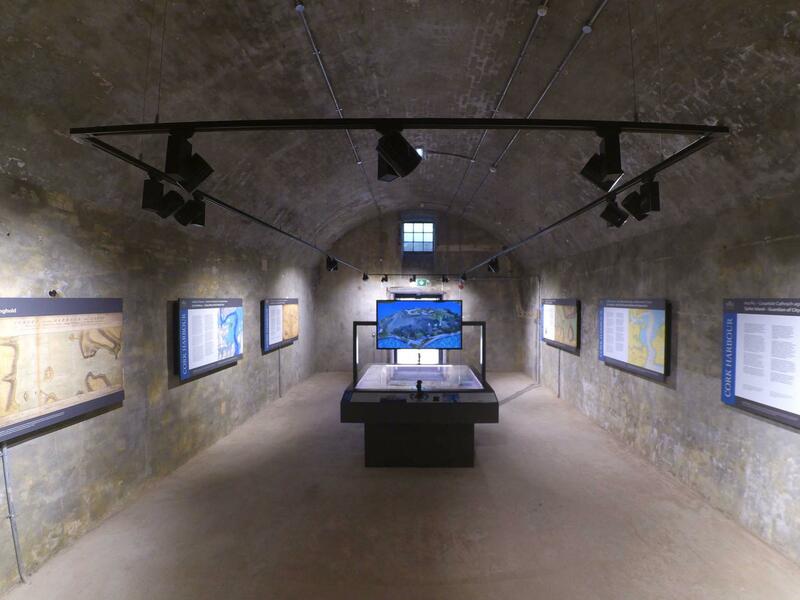 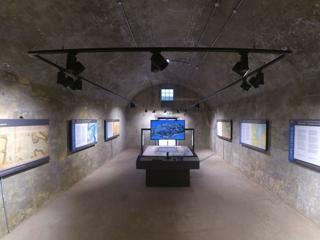 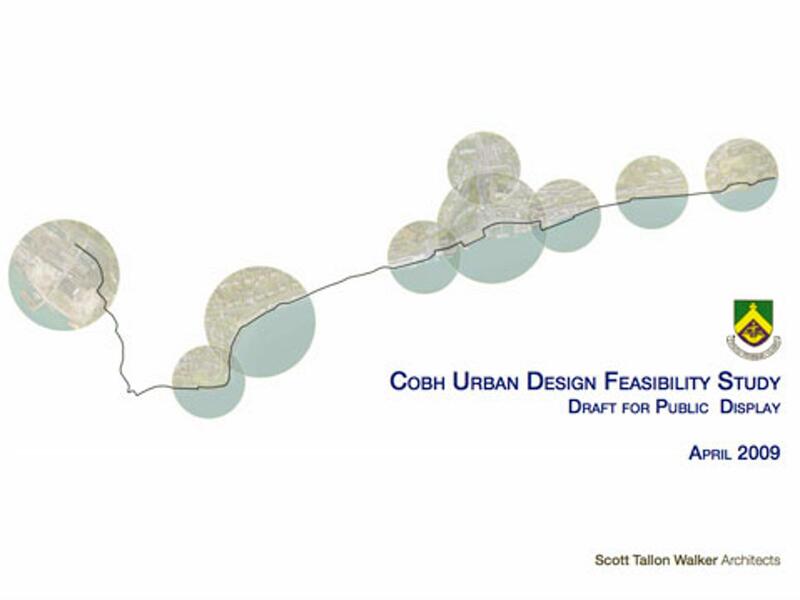 Scott Tallon Walker’s vision for Spike Island to become a major new international tourist destination was adopted by Cork County Council in November 2012, with the publication of our Master Plan. 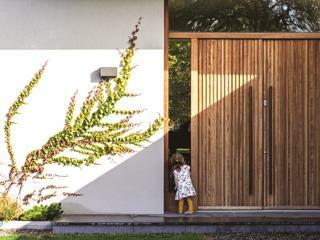 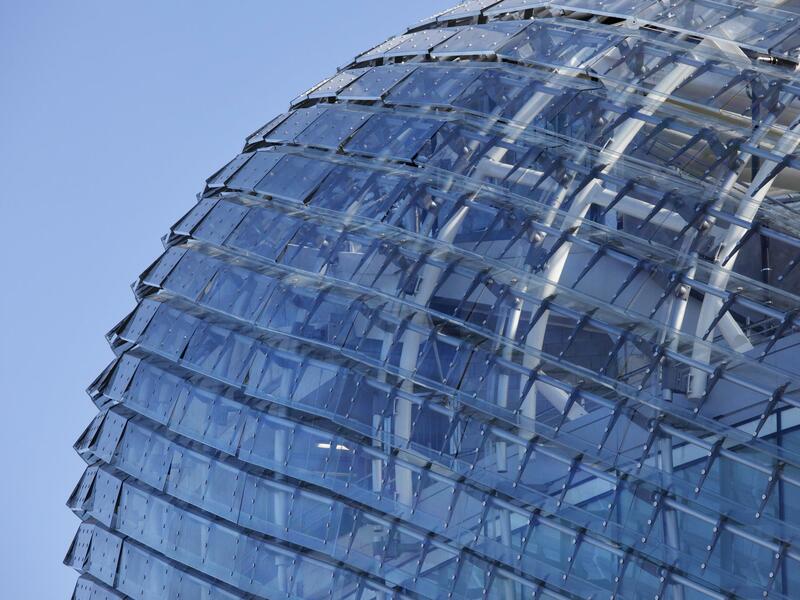 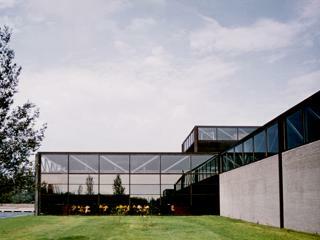 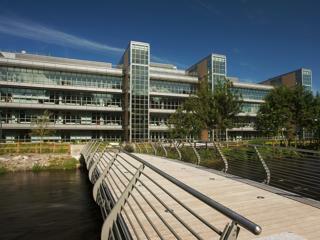 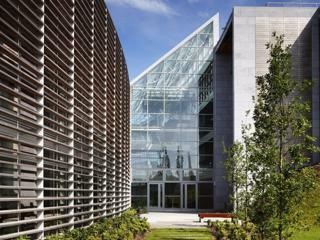 As part of the Open House Programme, RTE's Arts Tonight programme featured buildings by Scott Tallon Walker Architects. A dedicated unit to treat Cystic Fibrosis patients has just been completed. 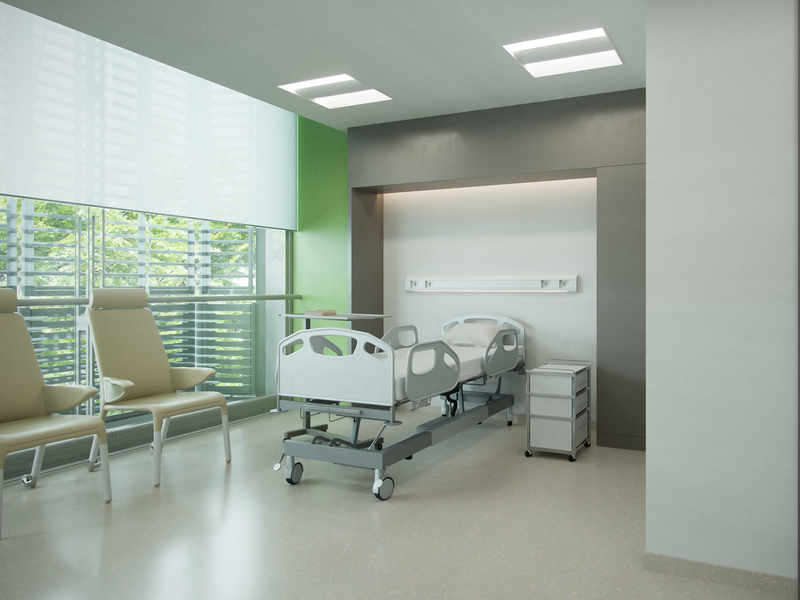 A 20 bed inpatient Cystic Fibrosis ward and 10 bed Cystic Fibrosis day-ward, provided within the new 100 bed Nutley Wing at St. Vincent's University Hospital, has just been completed. 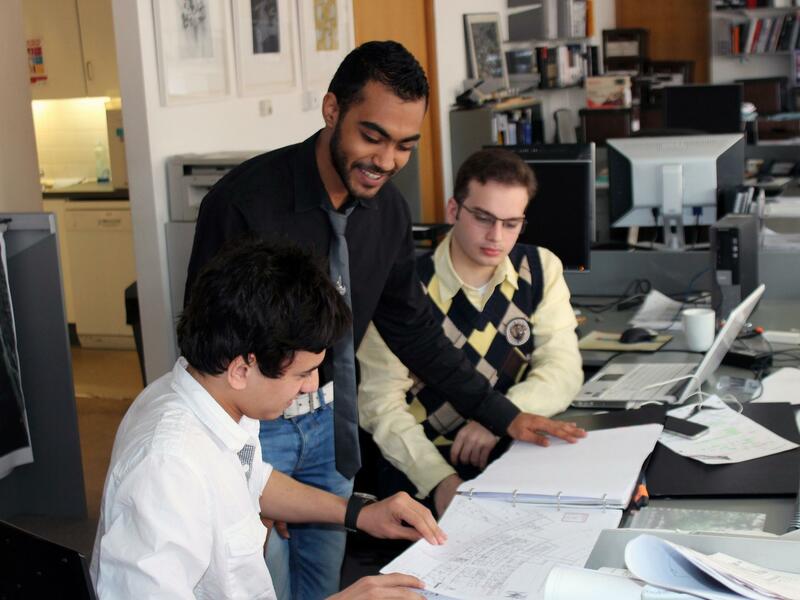 As part of a pilot 3 week work experience programme, Scott Tallon Walker Architects recently took three architectural students from King Saud University in the Kingdom of Saudi Arabia. 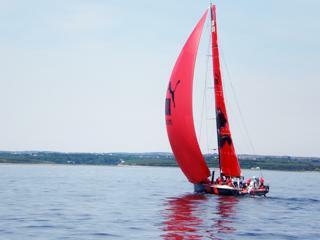 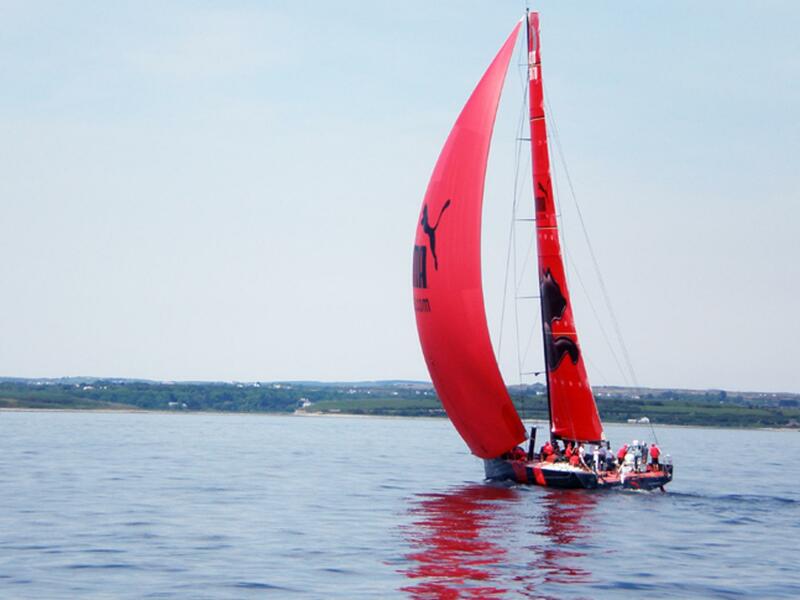 The Volvo Ocean Race Grand Finale 2011-2012 is an 8 day festival of marine, sport, culture and arts, entertainment and food. 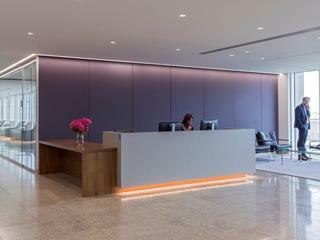 Scott Tallon Walker Architects were appointed in late 2010 to develop the concept design and construction documentation for both the new 14,600 sq.m. 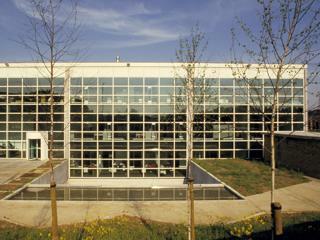 College of Movement and Sports Science and the 40,000 sq.m. 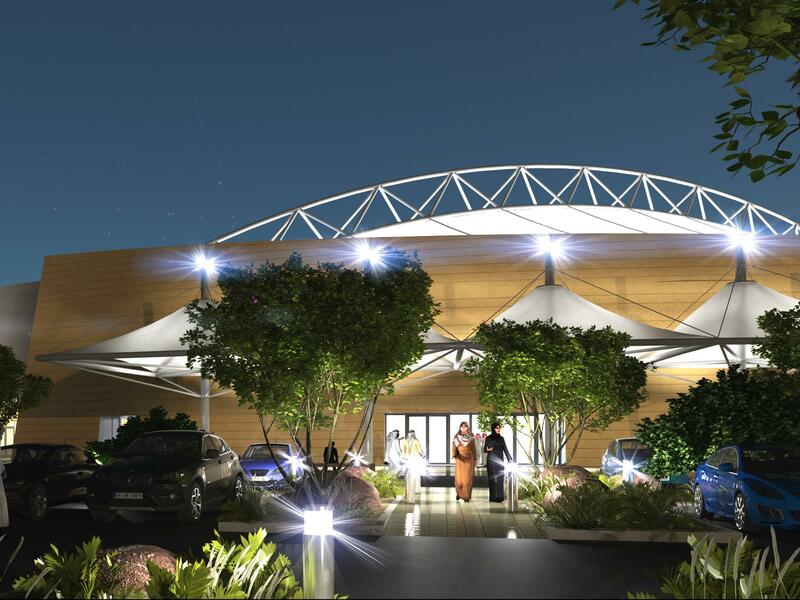 Sports Campus suitable for international events, at King Saud University, Riyadh by Saudi Bin Laden Group. 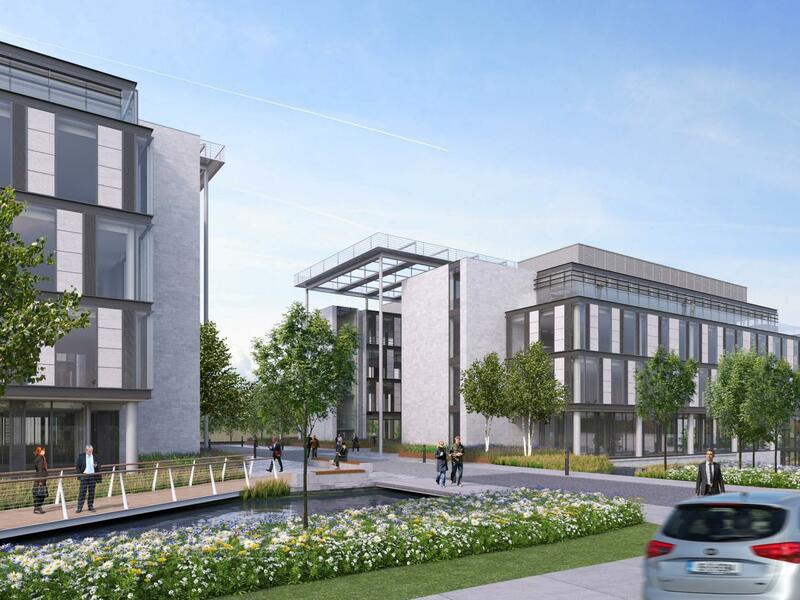 HEALTH Minister, Dr James Reilly today announced the first phase opening of the new €284 million Mater Campus Hospital Development which is designed by Scott Tallon Walker Architects in conjunction with YRM. 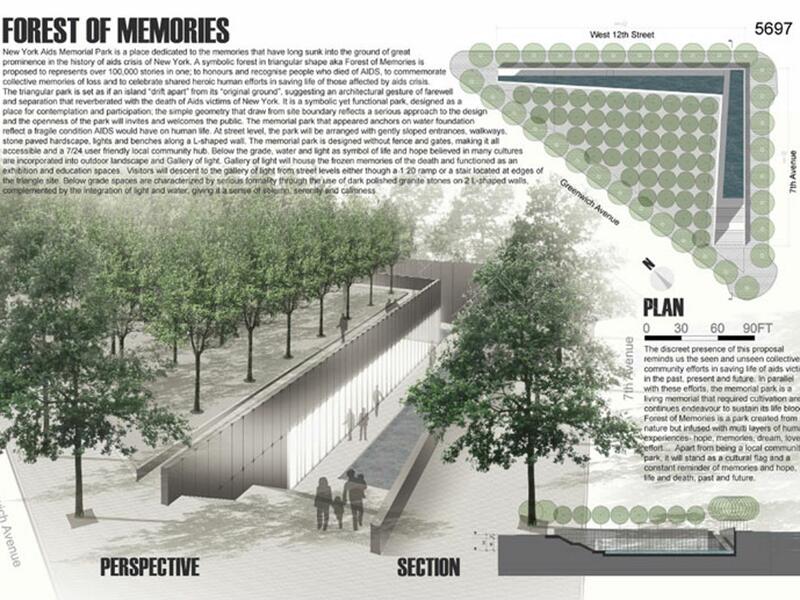 STW Architect is second of 475 entries for NYC AIDS Memorial Park Competition. 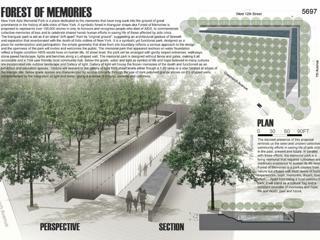 In conjunction with Architizer and Architectural Record, AIDS Memorial Park launched a design competition, chaired by Michael Arad the designer of the the National September 11 Memorial, to generate ideas for the memorial park design. 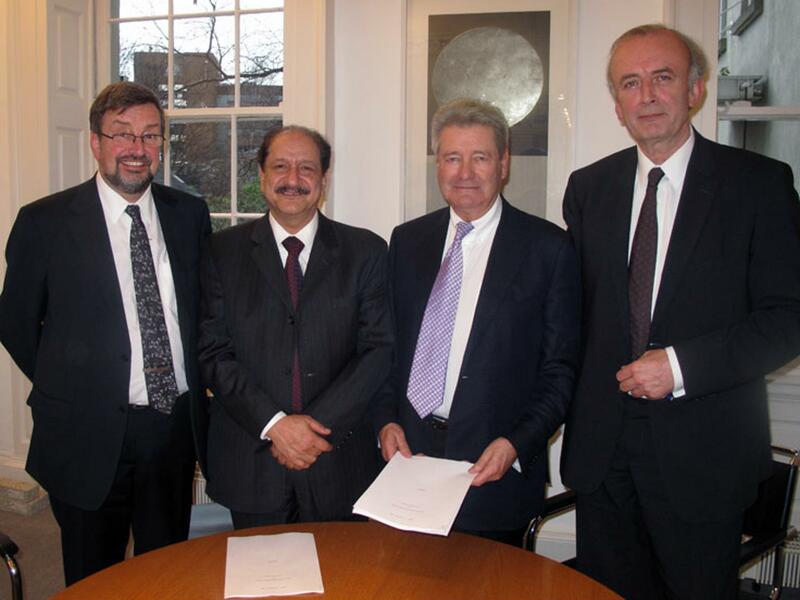 Scott Tallon Walker have been retained by the International Contracting Company ABV Rock Group to work with them on the delivery of a 10,000m2 Nanotechnology Research Building at the Riyadh Techno Valley (RTV) Development, which is part of the overall King Saud University Campus in Riyadh. 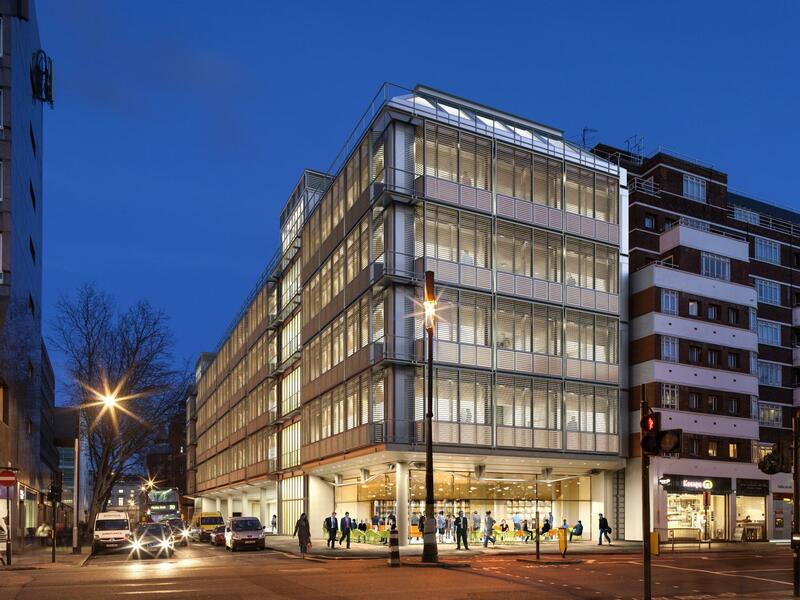 Award winning practice Scott Tallon Walker Architects with Edward Williams Architects & Tsoi Kobus & Associates have been appointed for the development of a £250m scheme for University College London Hospitals. Scott Tallon Walker Architects are delighted to have been appointed by the Cork County GAA Board to provide architectural services for the redevelopment of Pairc Ui Chaoimh Stadium, Cork as a Centre of Excellence. The Original Carroll's Factory which was completed in 1970 has received architectural recognition as one of Irelands finest modern industrial buildings designed in a Mesian style, and is a designated protected structure. 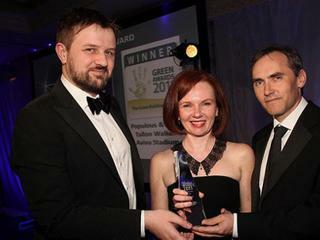 University College Cork’s (UCC) Western Gateway Building has won the Renewable Energy Award at the official launch of the Sustainable Energy Awards 2011 held in the Sheraton Hotel, Athlone on Thursday 14th April 2011. Now in its 27th month of construction, the Scott Tallon Walker-designed extension to the Mater Misericordiae University Hospital is over 80% complete, and is due for completion in the first quarter of 2012. Last night Aviva Stadium was awarded Best International project at the British Construction Industry Awards. 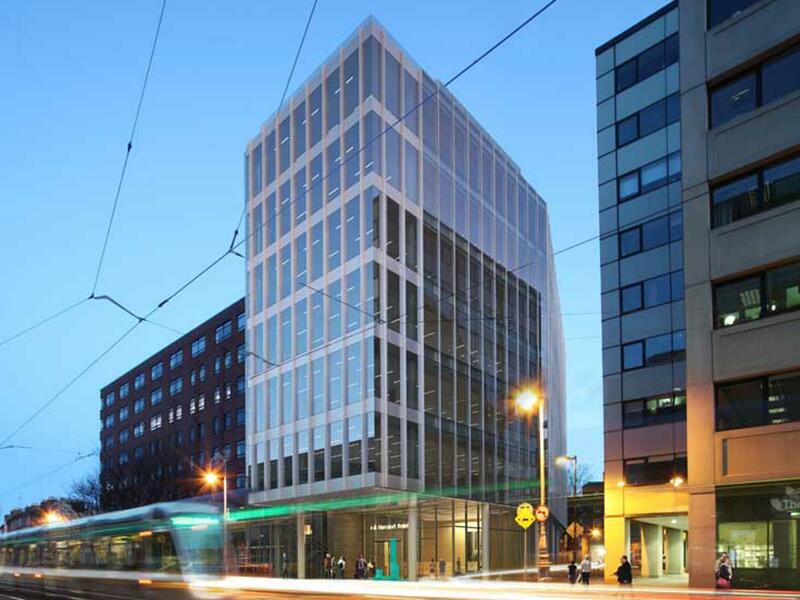 As part of a series of talks for Green Building Week hosted by Irish Green Building Council members, Scott Tallon Walker Architects will lead the discussion on Green Building presenting some of our major projects. 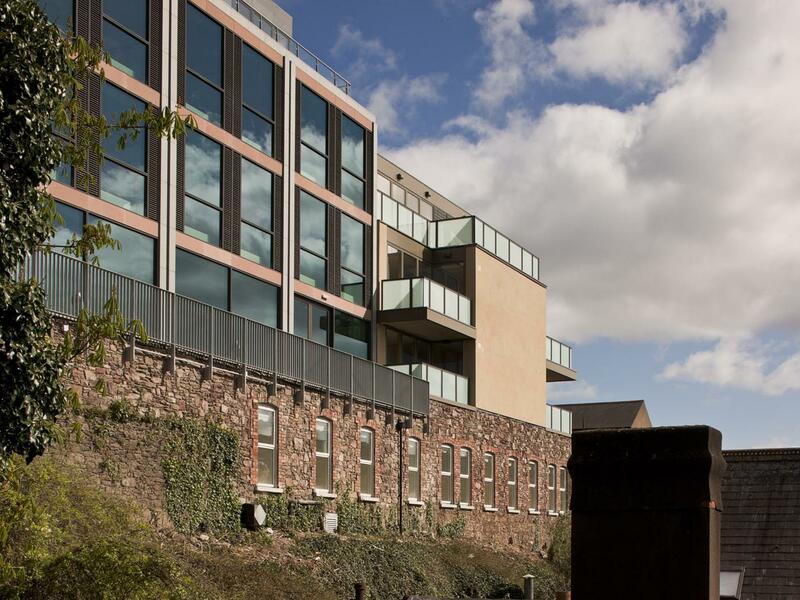 After 141 years of providing care to the sick and elderly, Mary-mount/St Patrick’s Hospital is leaving its historical city home at Wellington Road, St Luke’s Cross, Cork. 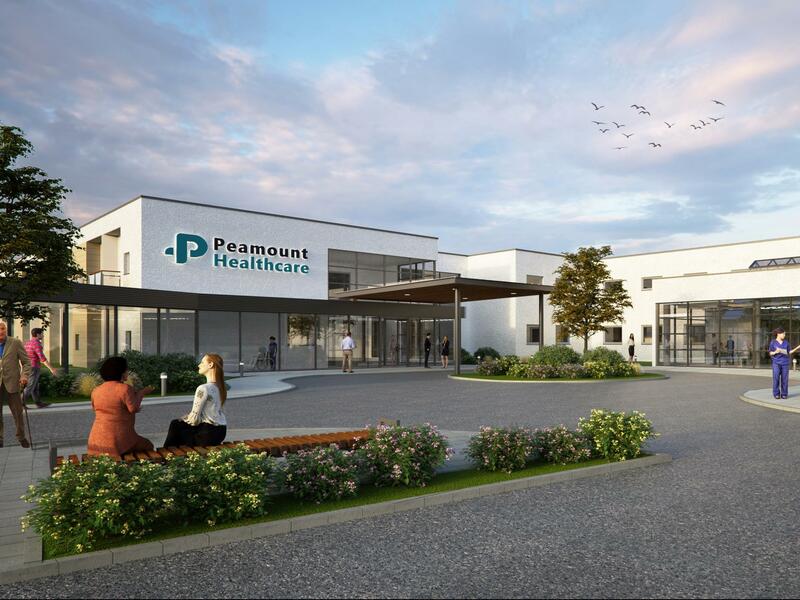 A new chapter of hospice/palliative care for people with advanced and serious illness opens later this year when a new larger Marymount complex opens off the Curraheen Road /Ballincollig bypass. 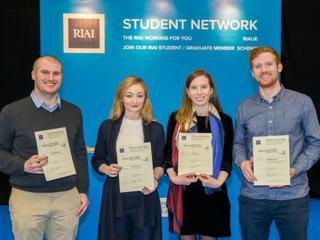 The final of this year’s Sustainable Design & Research (SDAR) Awards was held in DIT Kevin Street. 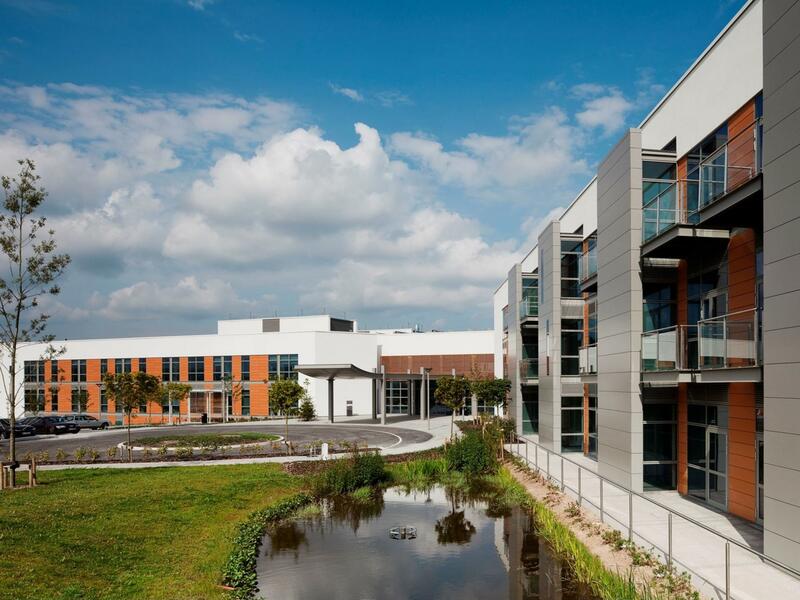 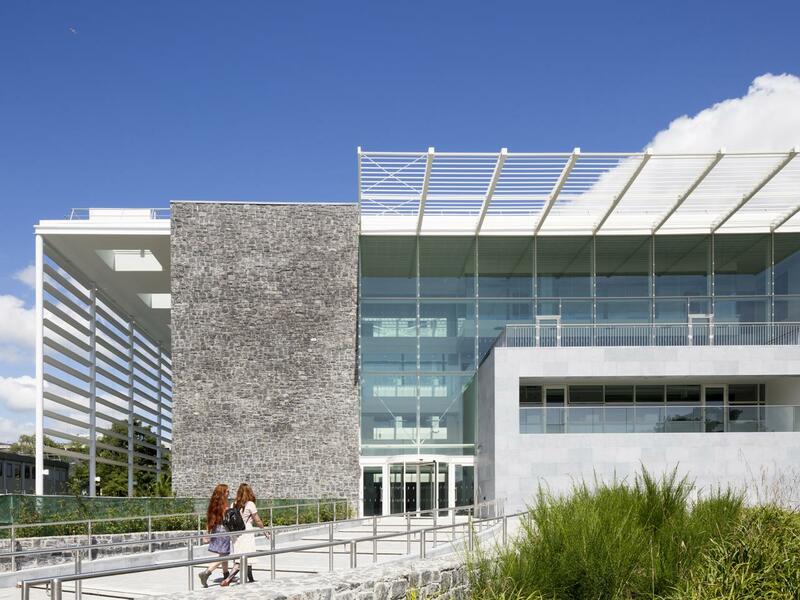 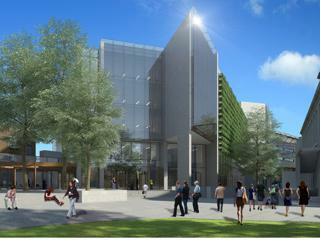 University College Cork’s (UCC) Western Gateway Building was chosen as the overall winner. In these turbulent times, Open House Dublin has adopted the theme 'THE ARCHITECTURE OF CHANGE', exploring how good design can be a catalyst for change and positively touch all our lives: from large scale master planning to small but skillful interventions in residential design. 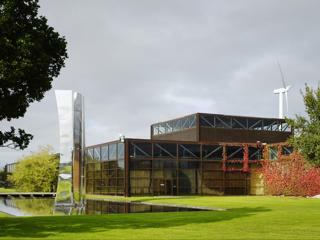 The Tyndall National Institute at University College Cork was the final destination for Queen Elisabeth to complete an historic four day tour of Ireland. 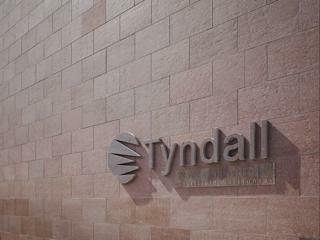 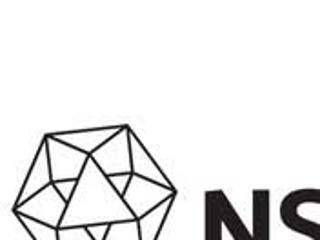 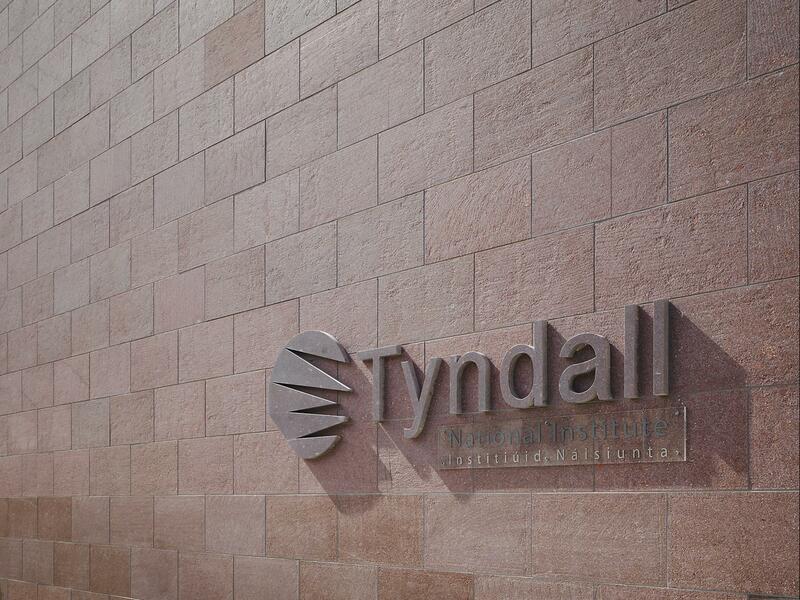 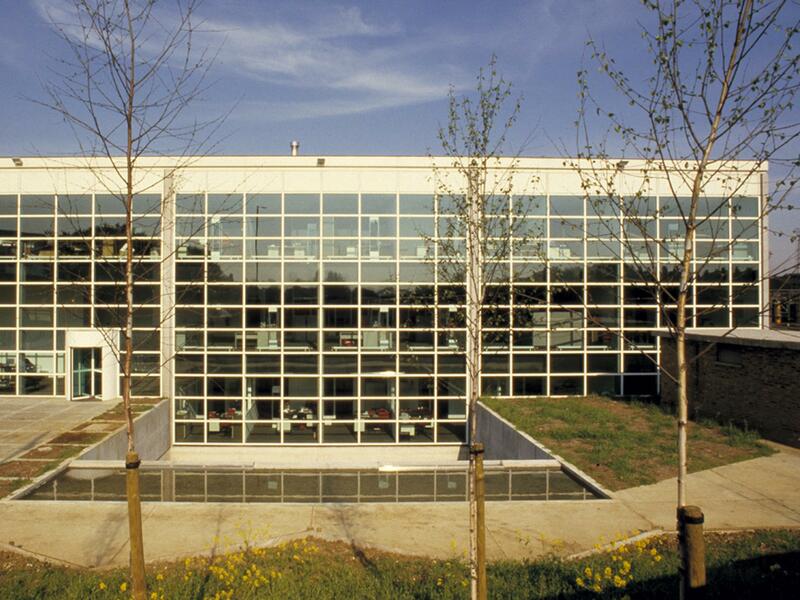 The Tyndall Institute, established in 2004, is one of Europe’s leading Nano-Technology research centers specialising in ICT hardware research, the commercialisation of technology and the education of next generation researchers. Aviva Stadium designed by international practice Populous and Scott Tallon Walker Architects has won a RIBA (Royal Institute of British Architects) Award for projects in the European Union region. 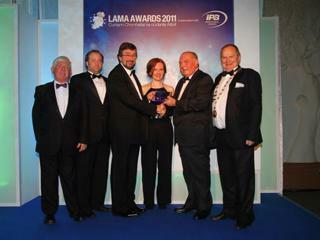 The awards ceremony took place at the Burlington Hotel on Thursday, April 14th 2011. 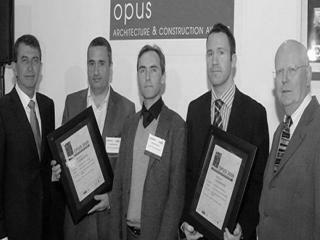 The shortlist for the 2011 Green Awards is now published. 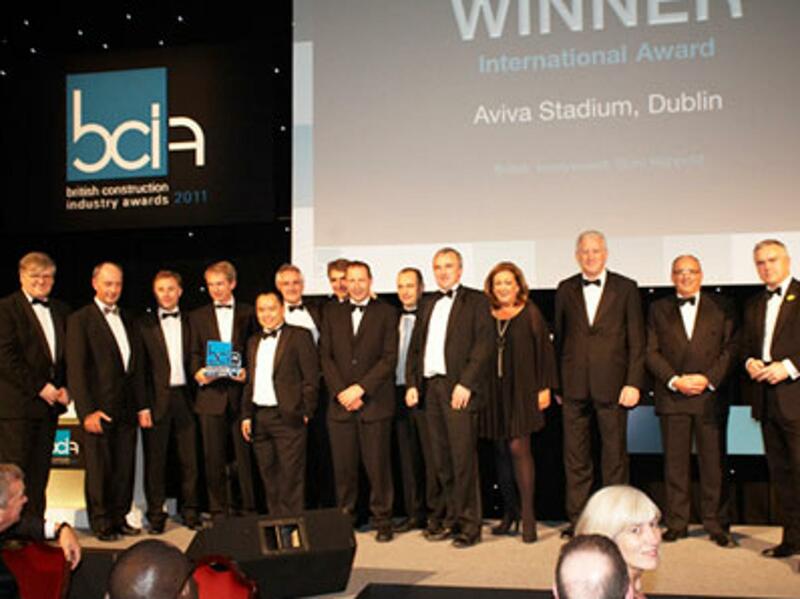 The awards ceremony will take place at the Burlington Hotel on Thursday, April 14th 2011. 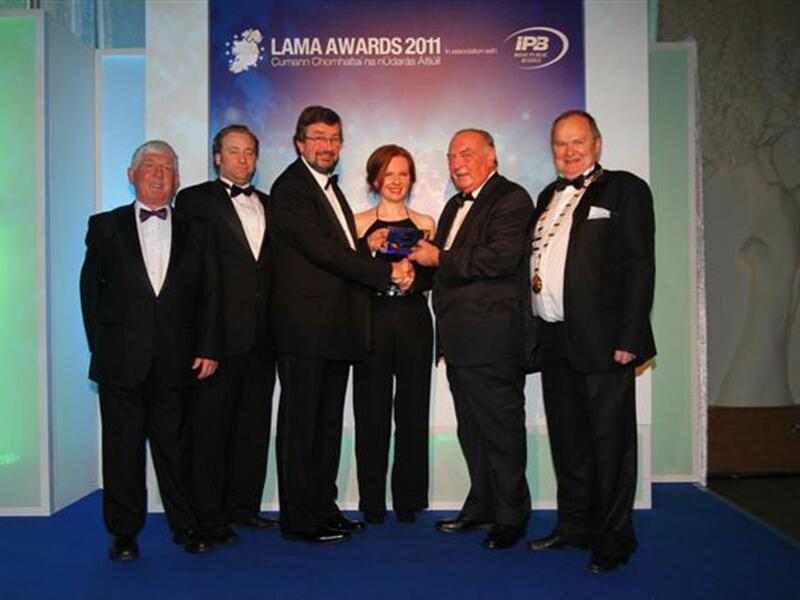 The LAMA Awards, now in their fifth year recognises excellence in construction at local, county and national level. 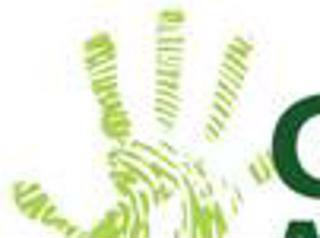 The annual awards ceremony commends individuals, initiatives, private companies and people for their outstanding contributions and projects of benefit to the community. 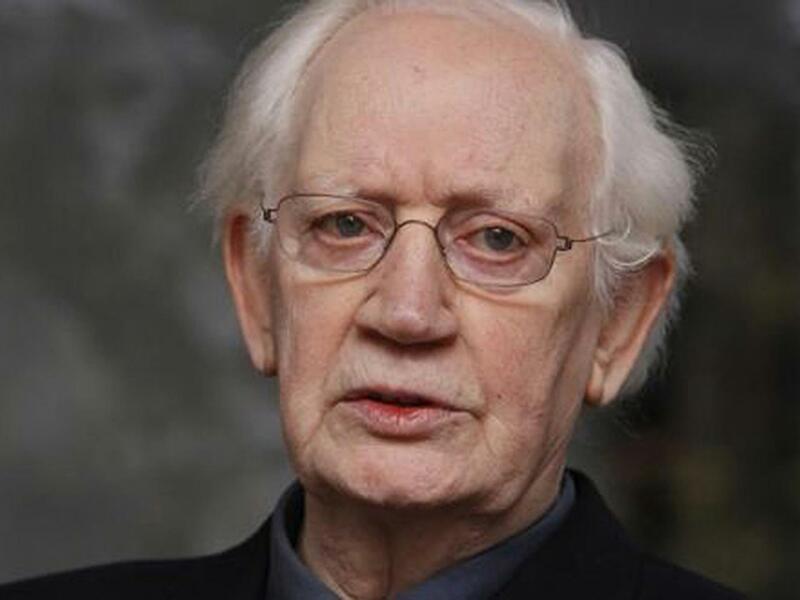 If Sean Lemass and TK Whitaker invented modern Ireland, it was Ronnie Tallon preimently among his peers who put shape on it. 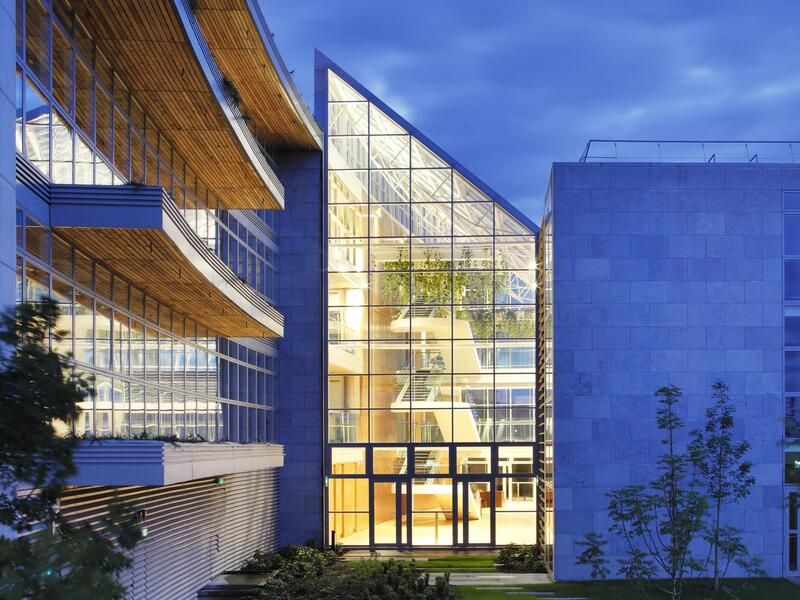 Two projects, one in Ireland and one in Canada, shared the inaugural ONCE prize at WAF for accessible design. The Association of Landscape Contractors of Ireland have awarded the Gibson Hotel the Overall Award for Landscaping in Ireland. 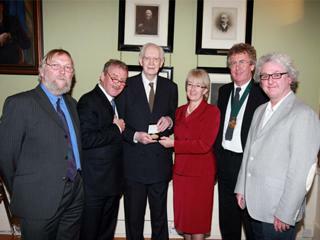 The Bog Oak Trophy was presented at the awards ceremony which took place in Belfast on the 17th of October 2010. 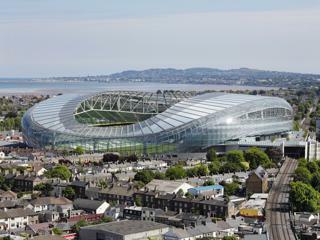 Aviva Stadium in Dublin, Ireland, designed as a result of collaboration between global architects Populous and Dublin based architects, Scott Tallon Walker has been awarded a prize in the category of ‘The Architecture Award - Leisure & Hospitality’ at the International Property Awards 2010. 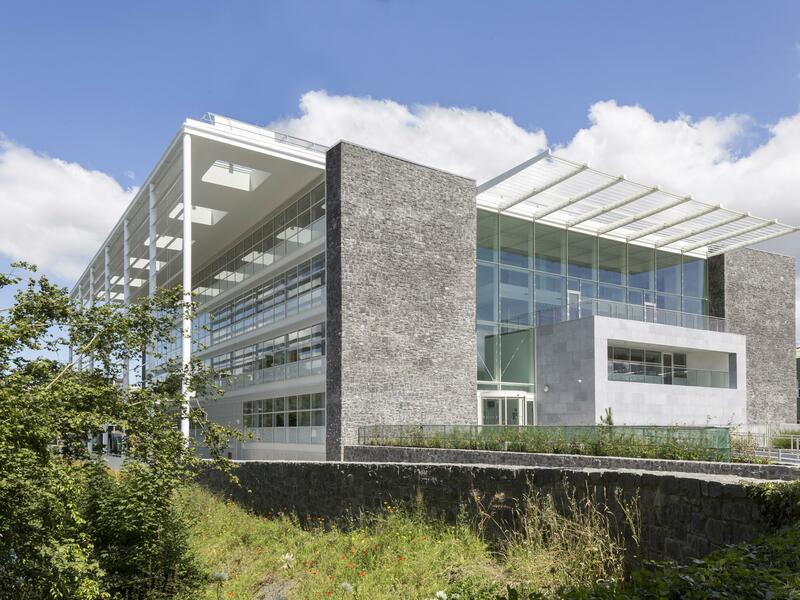 Minister for the Environment John Gormley officially opened the new Department of the Environment offices in Wexford on Friday 18th June. The Public Choice Award is an important part of the RIAI Annual Irish Architecture Awards. 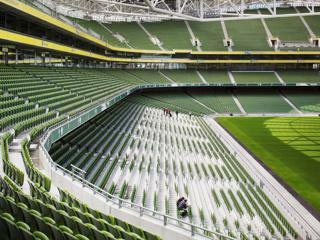 Aviva Stadium, formally Lansdowne Road Stadium reopens its doors on 14th May 2010 with an all seated capacity of 50,000. The design is the result of a joint partnership between Populous (formally HOK SVE) and Scott Tallon Walker Architects. 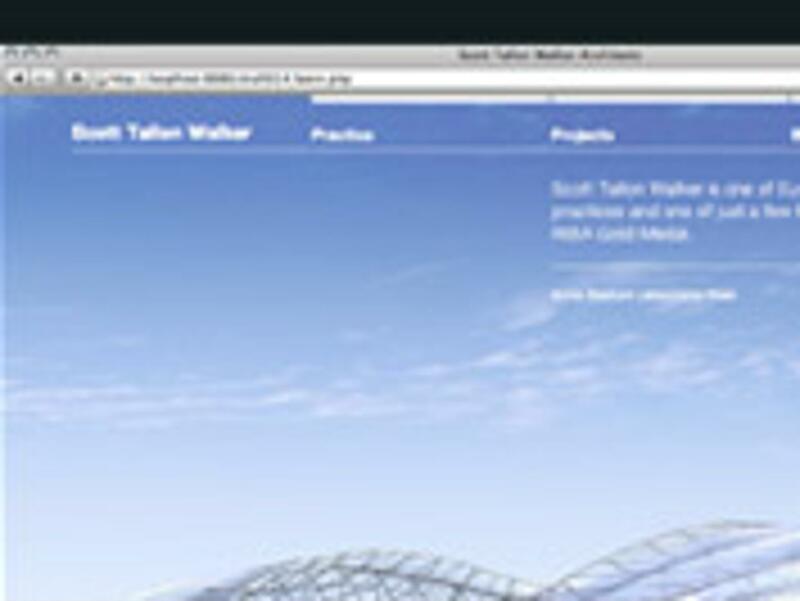 Scott Tallon Walker Architects is pleased to announce the launch of their new website http://www.stwarchitects.com. The finalists of our 2009 Photo Competition are now online at Flickr. Neasa Hourigan attended a 24 Hour Universal Design Challenge organised by TrinityHaus and the Centre for Excellence in Universal Design (CEUD) in association with the Royal College of Art Helen Hamlyn Centre. David Flannery, Ronan Phelan, Philip Jackson & Waikeen Ng attended the World Architecture Festival held in Barcelona on 4th – 6th November 2009. The extension to the Gate Theatre by Scott Tallon Walker and M&P Construction was Highly Commended in the €2 million to €10 million category at the 10th annual OPUS Architecture and Construction Awards, which took place on the opening day of Plan Expo, 3 November 2009 in the RDS, Dublin. Tánaiste and Minister for Enterprise, Trade and Employment, Mary Coughlan T.D, officially opened the Government funded Tyndall National Institute’s new state-of-the-art research building designed by Scott Tallon Walker Architects. 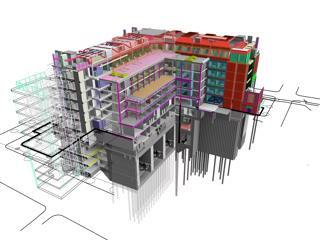 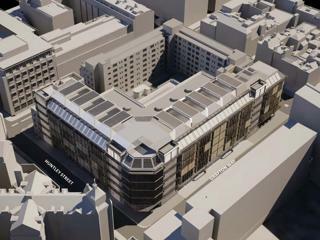 STW have recently been appointed to the Framework of Consultants for University College London Hospital. 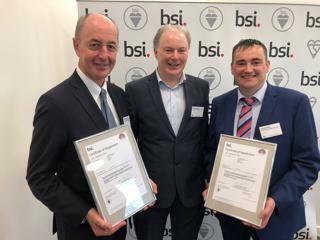 Scott Tallon Walker Architects have been awarded the ISO 14001:2004 Environmental Management Standard to control and ensure best practice environmental design for all aspects of the design and procurement of its new buildings. 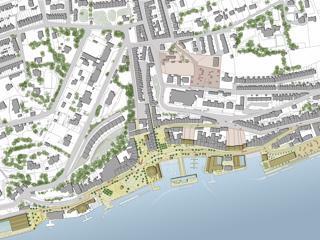 Following a tender process, Cobh Town Council appointed a team led by Scott Tallon Walker Architects in October 2008 to prepare the "Cobh Urban Study Feasibility Study".